We will be closed Today the 21st through Wednesday the 26th for Christmas. We will return to normal business hours on Thursday the 27th. Happy holidays from everyone at OBR! Our new signature series engines took home quite a few podium at the 2017 West Coast Nationals. 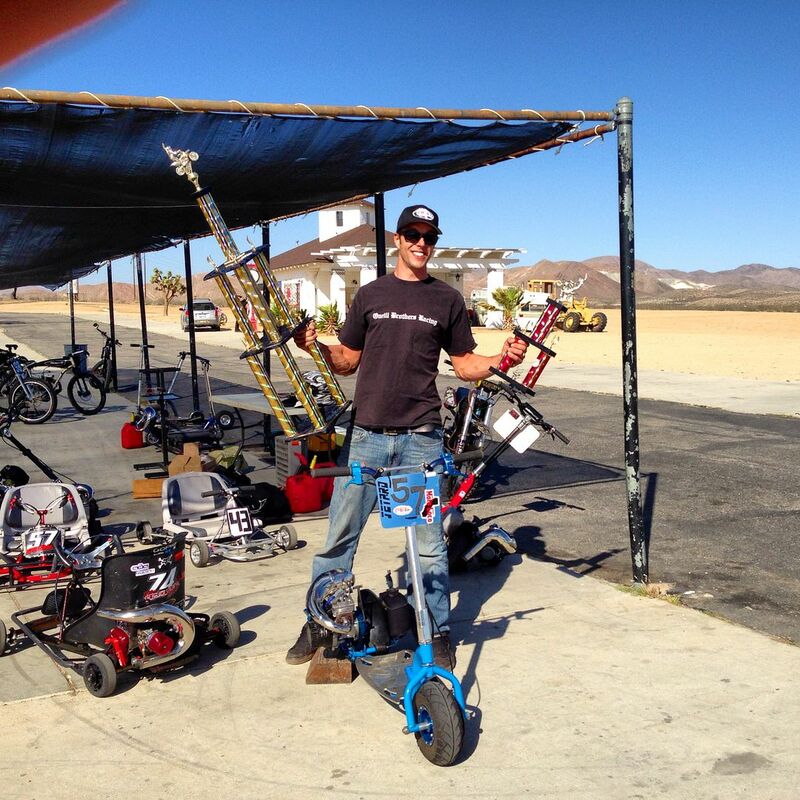 OBR's newest driver Josh Mitchell took home TQ in pro 4wd Truck and buggy on top of taking the win in the buggy class! Quick video of our new signature series line of engines being ran by our OBR/TR race team. 46cc Outerwear covers for the crankcase and pullstart are now available. This video shows you how to properly seal any of our billet cases or reed cases. Dan from OBR shows you how to install our V2 reed valve and the improvements that have been made. We've added some new options to our G320/340 full mod and reed engines. You can now choose the engine as a direct bolt up in all of the popular 1/5 scale cars. Second new option allows you to choose the compression for pump gas, race fuel and methanol. 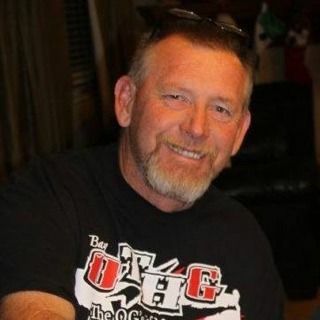 My name is Jeff Pfeifer, I'm 35yrs old and currently reside in Yuma, AZ with my wife Andrea. R/C has always been a big part of my life. My father was into model airplanes since he was a teenager starting with free-flight and control-line. Once R/C became a reality he started flying that as well. Fast forward to 1980 I was born into the R/C hobby and somewhere around 5 yrs old I started learning how to fly R/C airplanes. Along with learning how to fly my father decided to get me into R/C cars to improve my flying. My first real R/C cars were an Associated RC10, and a Futaba FX10. With the R/C car I learned to work the throttle and steering at the same time and also was able to learn my left and right hand turns and orientations with out fear of crashing an airplane. Growing up in the Kansas City area, the winters would get cold and not much flying was to be done, so my father noticed I was getting pretty good driving the R/C cars in the back yard and out front of the house in the street. With a little research and talking to the local hobby shops my father was able to locate a race track in Shawnee, KS called Sante-Fe Hobby and Raceway where I started racing 1/10 off road 2wd stock buggy and dirt oval, and later started racing modified. From my childhood thru my high school years R/C car racing was always that thing my father and I did during the winter since we couldn't fly and flying was always a priority over car racing. In 1987 I won my first national champion ship as a junior flying planes, and throughout the 90's I would go on to win many other championships in the junior division. During the early 2000's I became one of the top competition aerobatic pilots in the country being invited to some of the most prestigious invitational level international aerobatic events in the world. Meanwhile, when I wasn't flying I was racing R/C cars. In the early 2000's I raced a lot of carpet on-road, and nitro on-road and sometime around 2003 I started racing 1/8 nitro buggy. Fun fact I always raced with a stick style R/C car radio until about 2005 when I decided to commit to converting to a wheel style radio for cars! In 2005 I met my wife, and in 2006 I decided to leave the competition aerobatic world and concentrate on helicopter flying and R/C car racing with helicopters being the priority and became a top level helicopter pilot as well. Since my college years I had always worked in corporate america within a cubicle jungle. In 2011 I was presented with the opportunity of a lifetime to work as UAV pilot for a Navy program as a civilian contractor. So in September 2011 I moved to Yuma, AZ to pursue my career as a UAV pilot, where today I am the Lead UAV Pilot Instructor and Curriculum Development manager for our Navy UAV program. When I moved out to Arizona I finally had the opportunity to race on the west coast with some of the best drivers in the world throughout SoCal and Arizona. 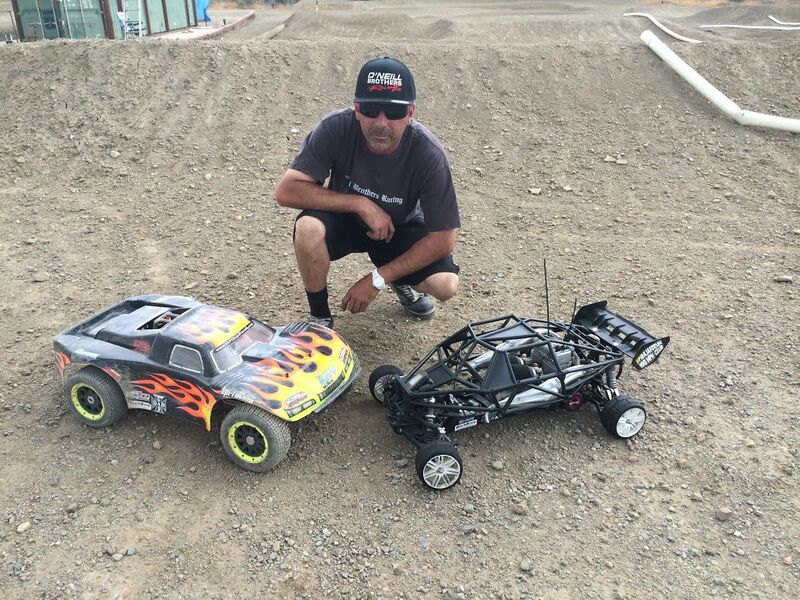 In 2013 I was at the Dirt Nitro Challenge Racing the normal race program there and one of my friends from Yuma, Ronnie Rojas asked if I would like to race 1/5th scale that weekend as he had an extra car. 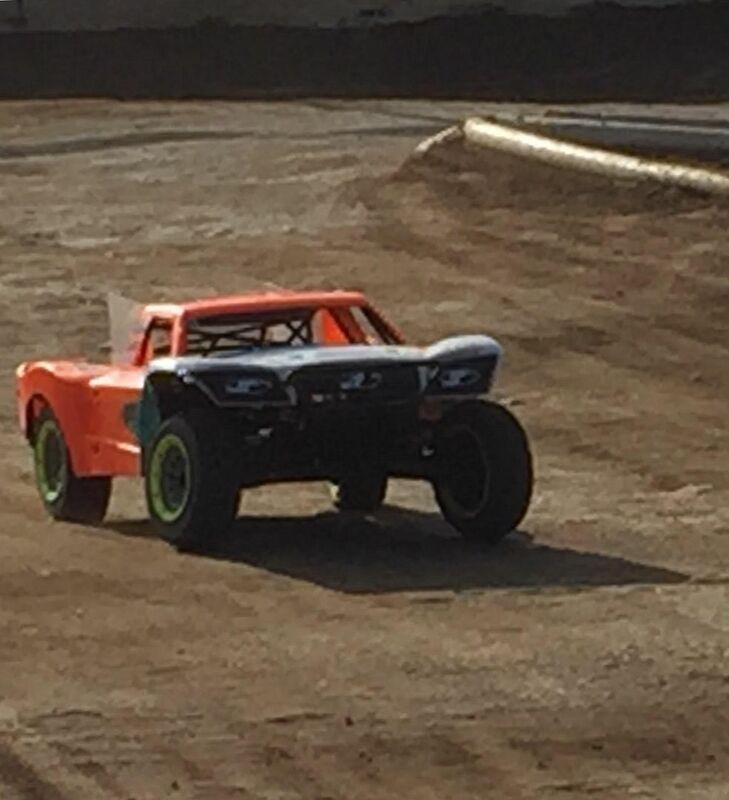 So of course I said yes, and I decided to enter the 4wd Pro Truck class with it. The truck was a bone stock 5iveT with a pipe, and stock servos. I qualified 3rd in Pro, and in the main I was running 2nd when I had a drive shaft break, but still was able to take 3rd. 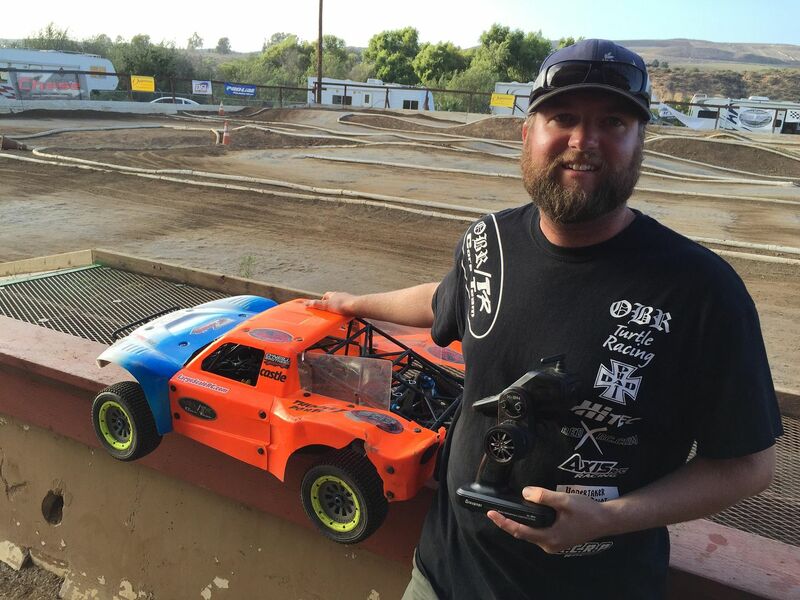 This was the first time racing 1/5th scale and I had a blast! For the next few years I mainly raced 1/8th scale and when I was at the 2015 Nitro Challenge I was hanging out with some of the 1/5 scale guys from Yuma and decided it was time to get a 1/5 scale car and start racing 1/5 scale seriously. So I made a few phone calls, got a car ordered and on it's way, but I also needed an engine. So I started talking to Dan Silagy from OBR and he sent me and pipe combo to put in my FiveT. That month I went to Rd 1 of the Team Chase series and entered the 4wd Pro Truck class, and placed 3rd and shared the podium with some of the best 1/5 scale drivers on the planet Matt Olson and Shaun Kirkman. After that race Dan Silagy and O'Neill Brothers Racing welcomed me to the OBR Core Team!!! I have a lot of plans for my 1/5 race program in the future and will be attending the Team Chase series, West Coast Nationals, and many other 1/5 scale races in the future! I'd like to thank all my sponsors that are instrumental in making my goals become realities, because without them success wouldn't be possible. Im from the midwest .I've been racing 5th scale scale for 5 years... The losi 5ive t and hpi 5b..mostly off road some oval. .I got my first Obr engine, a 30.5 reed case in 2013. I've been on the podium ever since! My name is Brad Hill. I am from the small town of Soso, MS. Racing cars has been a part of my life for 28 years. By the age of 9, I was completely obsessed with RC racing. As I got older, I got involved with full scale dirt oval cars, but deep down RC has always been my passion. 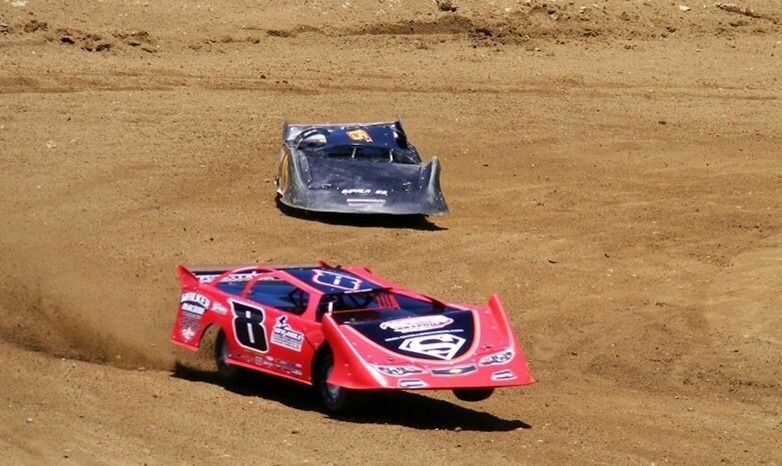 I have raced 1/12, 1/10 and 1/8 scale cars and I prefer dirt oval by a mile. After driving a friend’s 1/5 scale, I was hooked! Now, 4 years later, I am still a 1/5 scale man. Recently, many tracks have opened and allowed the sport to expand in my area. After seeing how rough racing was on lexan bodies I decided to incorporate my knowledge of full scale late models and build my own body out of high impact plastic. Once the other racers saw how durable it was, these bodies became a must have and Bodies by Hill was born. Last year, Dan @ OBR reached out to me and asked me to join the OBR team and I will tell you, it has been an awesome ride. I have been testing engines all off season to try and pin down the best of the best. I am looking forward to traveling to some big oval events in 2015. See you at the track! 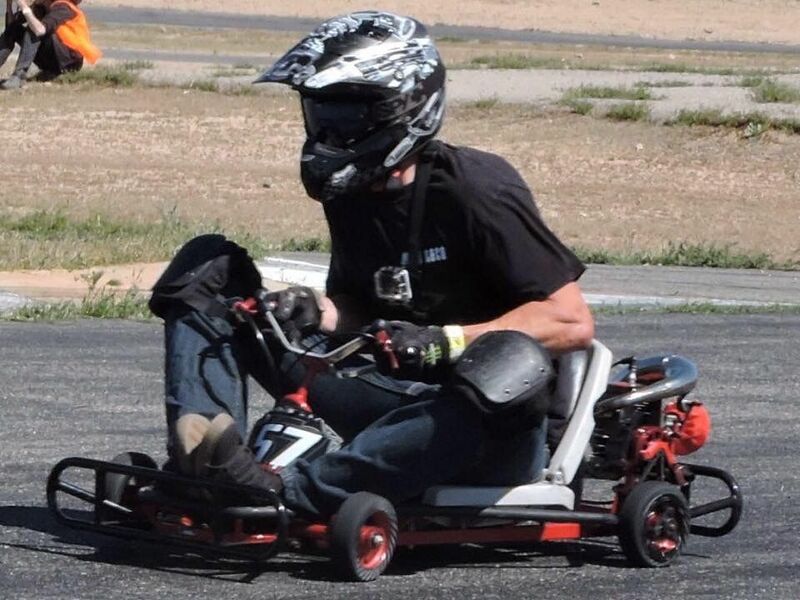 -His first race was in 2007 in the airtire chain-drive unlimited 65cc Goped class at Rialto Airport Speedway on his custom gsr60 cylinder reeded Goped "the Tangerine Dream." He placed 2nd. -He has raced on several different tracks since then but most of his racing was done at Grangè Motor Circuit in Apple Calley. -His favorite track is Adams Shifterkart track in Riverside "because it has that one banked turn!" -In 2009 he started"The Pedshed" local Goped race and repair shop and has been in successful operation since. Working along side OBR with the soul objective to encourage and support the Goped scene by having a primary hub for anything Goped related. -He competes in all 3 classes for Gopeds and Goquads. 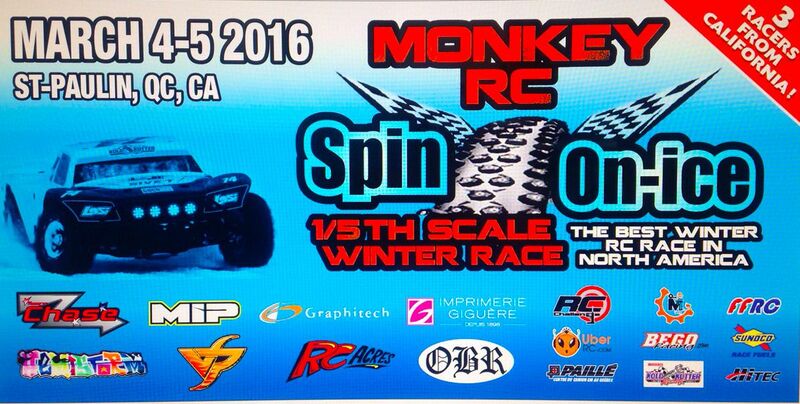 In the airtire Goped class he is currently racing a custom casereeded 62cc on a blue GSR. In the hardtire Goped class he is on an OBR casereeded 30.5cc running alcohol on a blue GSR Sport. And in the Goquad class he is on a cylinder reeded Chung Yang 46cc. Always placing on the podium in every class. Sponsors: Moto Loco in Santa Barbara, Jetpro pipes, and am so pumped to now be one of the official OBR team core riders! Click read more below picture and video for more pictures and details on this build. 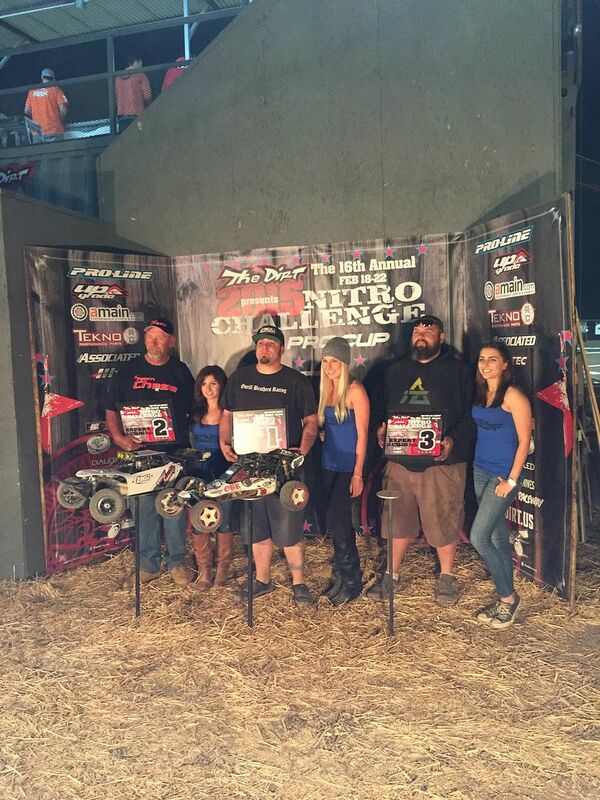 OBR/TR Core Team Sweep Pro 2WD Truck/Buggy At The Dirt Nitro Challenge. For more pictures and video of the event visit our Facebook and/or Twitter page. My interest in RC Racing began quite a few years ago when I purchased a pair of 10th scale stadium trucks for me and my son. 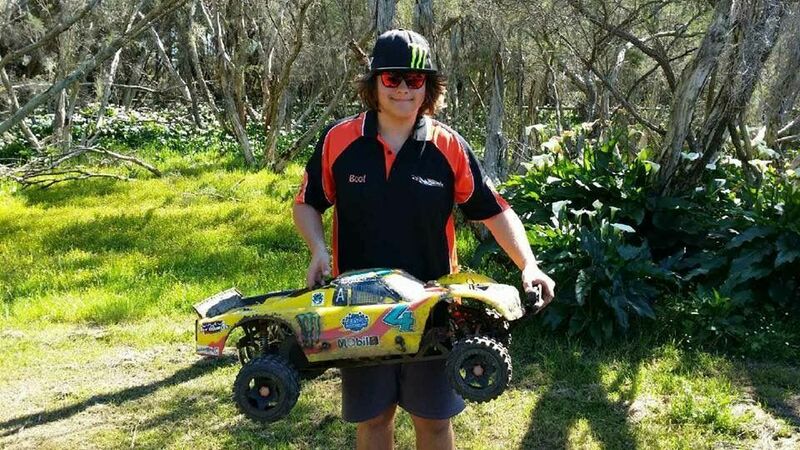 Fourteen years later, twelve different RC cars and trucks and that interest has evolved into an RC addiction that has led to making some great friendships. Two years ago, Kyle Kristy invited me to join the K.C.R.P. Team and my 5th scale addiction became even greater and along with that I was introduced to the the outstanding craftsmanship of Oneill Brothers' Racing Engines and the excellent products that Turtle Racing produces. I've been racing my Losi Five-T for for the last three years and I've been having a blast. 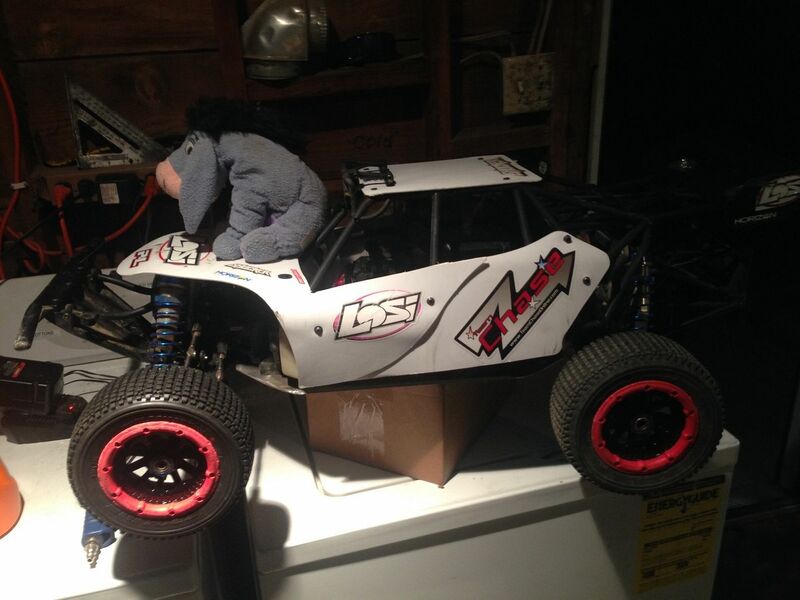 I'm looking forward to the 2015 Racing Season and unveiling my new Losi 5ive-T 2WD Conversion. I'm also a very proud retired Navy veteran of 26 years and my wife is on her 22nd year of active duty in the Navy and is my biggest supporter. I also have one son in the Air Force and another son in the Navy. On most race days, when I'm not on the driver's stand driving, I'm on the driver's stand capturing the racing action on my video camera or from the air with my hexacopter. My videos have been viewed over 182,000 times on YouTube - Channel: FangsCPO. 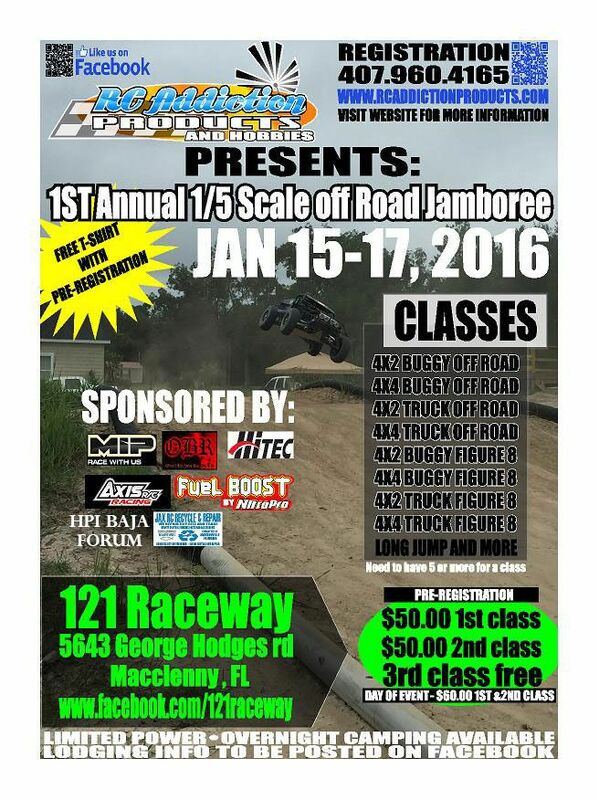 See you at the track!! Fantastic company OBR.. I can't say enough about the customer service. ..They want to to right, have fun and most of all want you to enjoy the hobby. I have 2 engines from OBR the 30.5 full mod 7.5hp and the 30.5 full mod +3 crank reed case 8.2hp. ... they are a powerful !!! They start right up and I run the he'll out them, also they get stronger every run! If you are looking for reliability, power and profromance then look no further OBR is where it's at! I'm Joey DiMeo and I approve this message! I am a SoCal local. I have been into 1/5 scale radio control cars for 6 years. 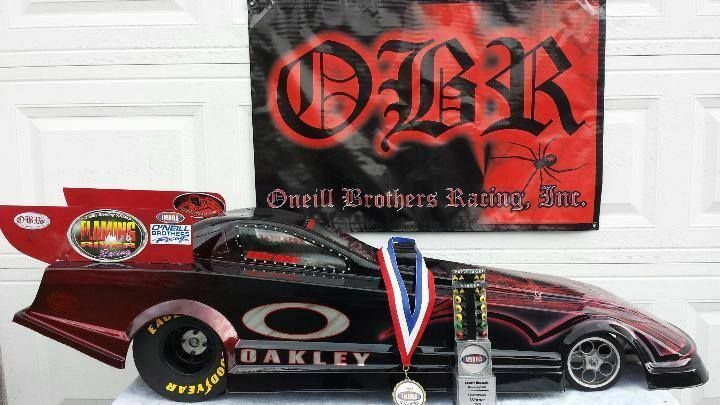 The past 4 years I have been running top speed challenges for O’Neill Brothers Racing And Turtle Racing Products. One year ago I was invited by OBR to a local 1/5 scale off road test and tune session. I was set up… and hooked at the same time. I have just completed my first season running an HPI Baja 1/5 scale 2wd truck. I have two favorite moments in the rc hobby. 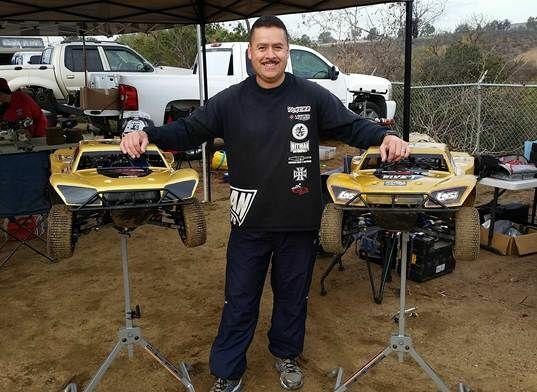 One of them is being the 1st American to crack the 100MPH wall with an HPI Baja. My second favorite moment came at the Team Chase 2014 Race 1. Winning my 1st off road 1/5 scale race I entered. It was in front of friends, teammates and sponsors…it was an amazing moment for me. 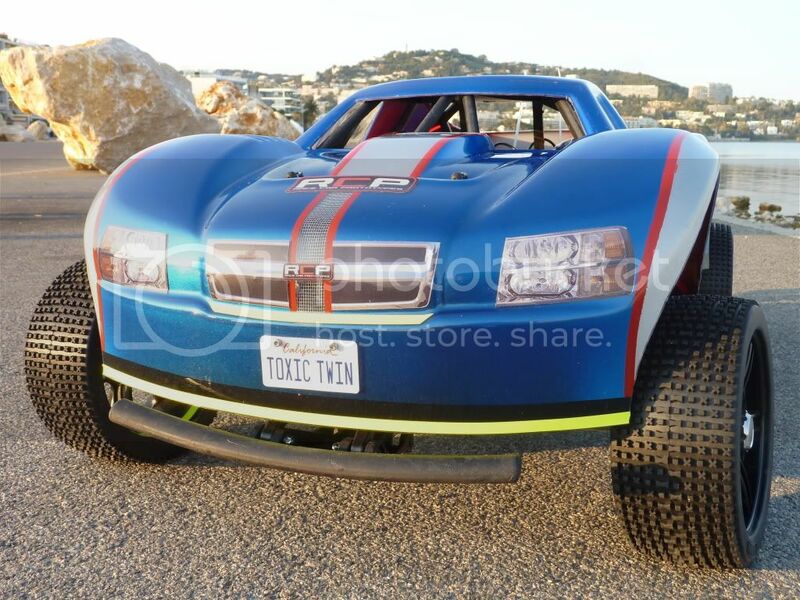 I am looking forward to racing a 4wd Losi in 2015. If you see me in the pits or at the track, all you have to do is ask if you have a question. It would not be the same without the support of my sponsors and teammates. 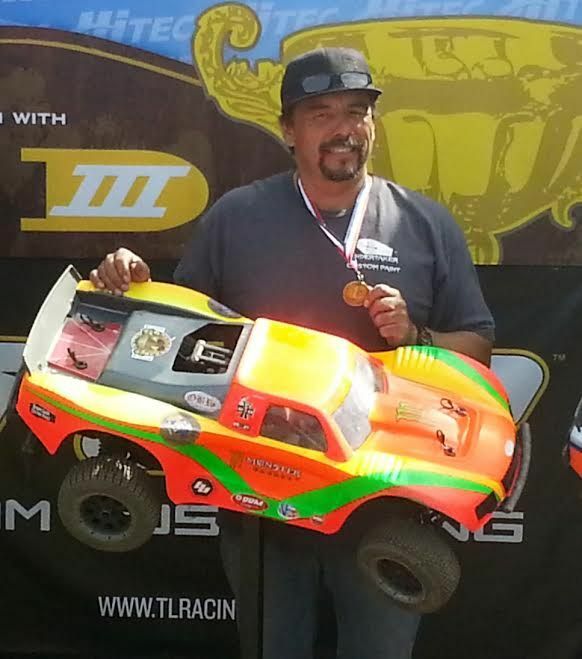 2014 HPI Baja West Coast Nationals 2nd place 2wd sportsman truck. 2014 Team Chase Series 2wd sportsman truck 2nd place. My name is Ben and I recently decided to get into 5th scale RC. 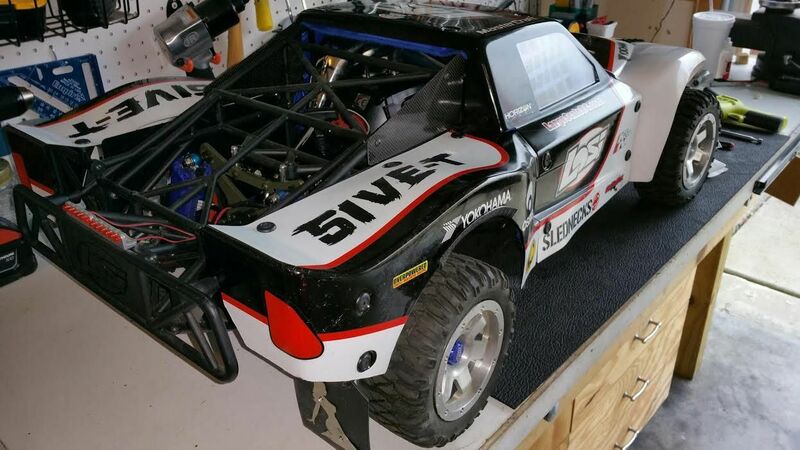 After reading a ton of reviews I decided on the Losi 5ive T. After that I had to figure out a power plant for the truck, which brought me into contact with Oneill Brothers Racing. I had the privilege of dealing with Dan and a couple others during my search for the right engine. Dan and I decided on a 30.5 full mod 7.5 HP built specifically for the Losi 5ive T. This was by far the best advice I have received during the building process. Dan was willing to spend quite a bit of time on the phone with me explaining the different pros and cons of parts and different motors. Now that my build is complete and break-in is almost done I wanted to share a few pics and tell you guys thank you. My experience with this company was absolutely fantastic and the customer service is second to none. I'm sure this truck is going to rip major @$$ once I can really open it up. The paint on the body I did myself with liquid mask and a lot of patience while I waited for all my parts. Thank you again for everything Dan, and the crew at Oneill Brothers. 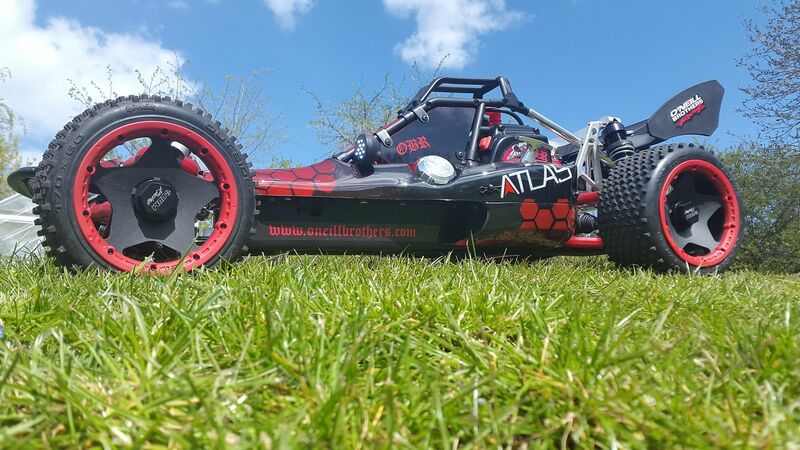 Unfortunately in the last couple of years in my country the large scale buggy racing scene got down, so no more races and events out here, i sometime go abroad to attend some races, but unfortunately not so often because it is too costy. 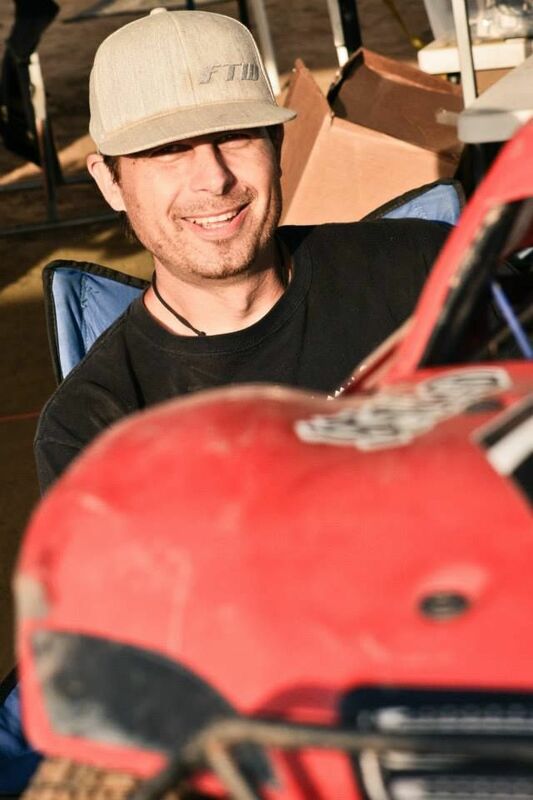 During my racing seasons I’ve got several good race results as well as the 2nd place at the hpi baja challenge. Me and Italian team took part also to the baja challenge european final race in Spain (Barcelona area). In was attending with great results also the 1/5 off road Italian championship (Total 6 races on different off road race tracks placed in different region of the country). I have won the most of the races, and i ended the season with 1632 points which also gave him the overall title of 1/5 Off Road Italian Champion. Thanks to Sean, Dan and David i could go also to California to attend the 2011 and 2012 West Coast large scale buggy Nationals, in the 2012 i was also on the podium, gotted the 3th place. These were some of the coolest events i attended ever. We're in the process of updating the top end section of our website. As of now we only offer 2 bolt and prostock 4 bolt top ends. We will be adding full mod 4 bolt top ends, full mod G320/G340, reed etc. Will take some time to get them all listed but progress has started. I'm Jayson, 27 years old, from Garden Grove, CA. I work at O'Neill brothers Racing and have been here for 2 years now. And have been racing for about a year. Sean and I met about 8 years ago when OBR was out of the garage. Dan and I met a couple years ago here at the, shop. With having an interest in engines my self, I asked about a job, and it happened! Being an engine guy my self, it's hard to find other heads on the same plane. So working with these guys, is pretty easy. Since I've been at OBR, it's been a fun experience. Getting to know more about our engines, a new racing scene, and even learn about car/truck setups. But having access to a full work shop allows anything to be done. After being here a few months I started to notice the 1/5th scale scene is big, It's everywhere. So I eventually got a 2wd buggy. 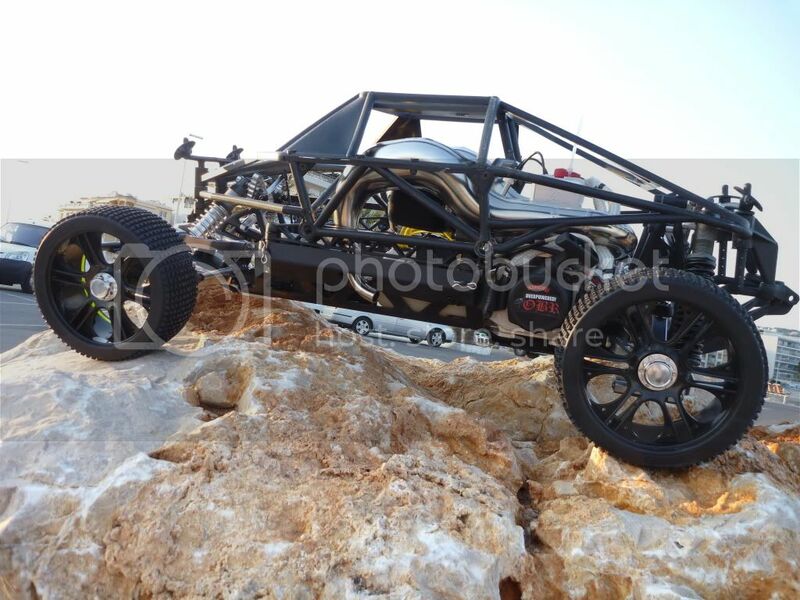 Once It arrived, Dan took the buggy home and gave it a full rebuild and set up. Thanks, Dan! Since then, it's been through some changes and quite a few, races. Along the way, I've met some new friends who have given me the guidance and support to help succeed on and off the track. Some of them are now teammates on the OBR/TR core team, and couldn't ask for better ones! -2014 Team Chase. Corrs Series. 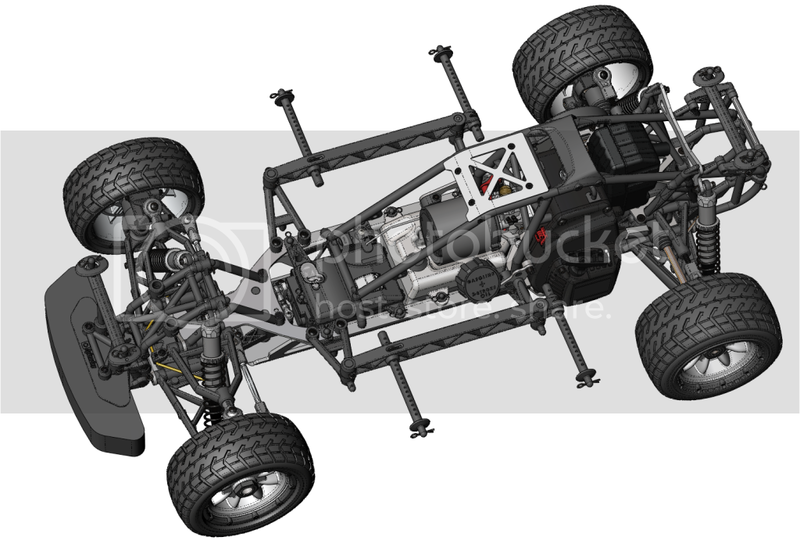 2wd Open Buggy. I got introduced to 5th scale racing about 4 years ago, and my first race was the Toys for Tots race at Heritage RC Park in Chula Vista, Ca. I ran a stock HPI baja 5 SC and immediately found the 5th scale community to be very helpful, especially the Limited Access/KCRP race team. I was hooked- I went out and bought a Losi 5ive T and started racing both 2 and 4WD. 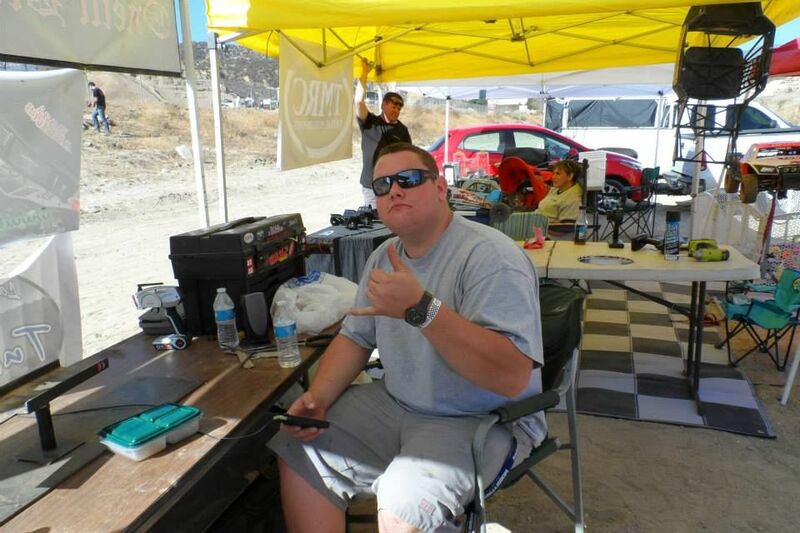 My first big race was 2012 West Coast Nationals at Glen Hellen raceway. I TQ in 4WD sportsman and had top 5 finishes in both 2 and 4WD classes. My other accomplishments include: 2nd overall in 4WD sportsman in the 2012 HiTec Winter Point Series at Heritage RC Park, 1st place 2WD sportsman 2013 Ashley Cup at Irvine Lake Ca, podium finishes at the AKA Spring Point Series at Heritage RC park 2013 and podiums in the HiTec Trophy Chase 2014. I finished up strong at the 2014 West Coast Nationals and I hope to carry that momentum into the final Chase Race of the season. I'll be stepping up to the expert class next season and I'm proud to be a new member of the OBR/TR Core Team. My goal is to make my mark in 5th scale racing just as my teammates have done. I've gained lots of knowledge from 5th scale racers who always seem willing to help and I am committed to show the same hospitality, so if you need assistance with your race car at the track don't hesitate to stop on by. I have been in competitive racing for 10+ years now. I started out in 5th scales 6 years ago, when my sister help me buy a HPI Baja SS Kit. Built it all up with hand tools (ouch!!!!) and went racing. I was hooked into the 5th scale scene after that. Did some racing and just had fun. I took a short break as I started focusing on my 8th scale nitro and electric programs. Then got hired at HPI in their customer service department. Everybody quickly learned that I was a fan of the Baja’s and made me the lead on 5th scale testing and development. I also got to travel and go to the 5th scale East Coast Nationals. Placed 4th in that race, due to engine tuning problems, but still good results. After that race I was determined to continue to get better at 5th scale racing when possible. After a few short months and some sound advise from one of the HPI engineers I was able to dominate the 5th scale scene, winning race after race. This is when OBR/TR picked me up to represent their awesome brand of products. 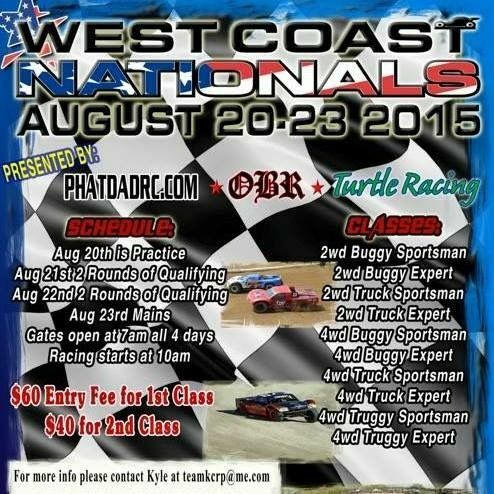 I have since walked away with 2 back to back West Coast National titles in 2wd Short Course. I am now focused on again getting the gold in 4wd. I could have not done it without the support of OBR/TR, especially Dan and Sean for all the awesome support. They are always there when I need them and will drop everything to make you fast. My future plans is to get more nats titles, especially on the east coast. Drive Hard, Race Harder, Win Everything!!! I've been racing 5th Scales for about 4 years with my Dad. This year my 8 year old son started racing 5th Scale. It is awesome to have 3 generations racing together. 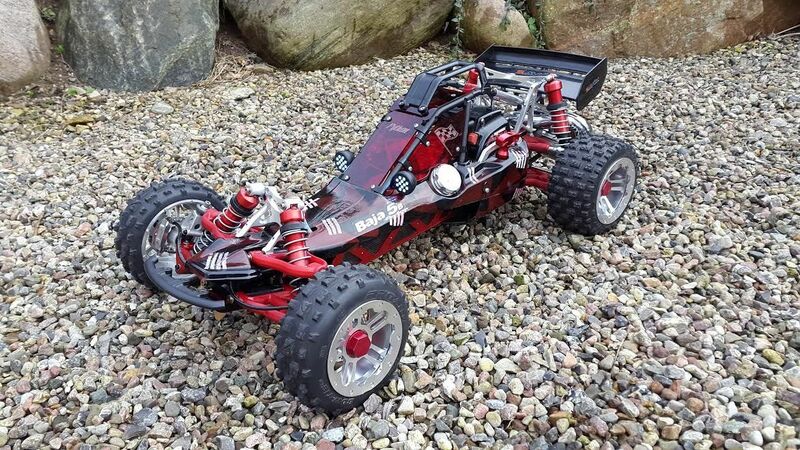 We race the HPI 5t and looking forward to moving into the 4wd world. I am lucky to drive for one of the best truck owners around. 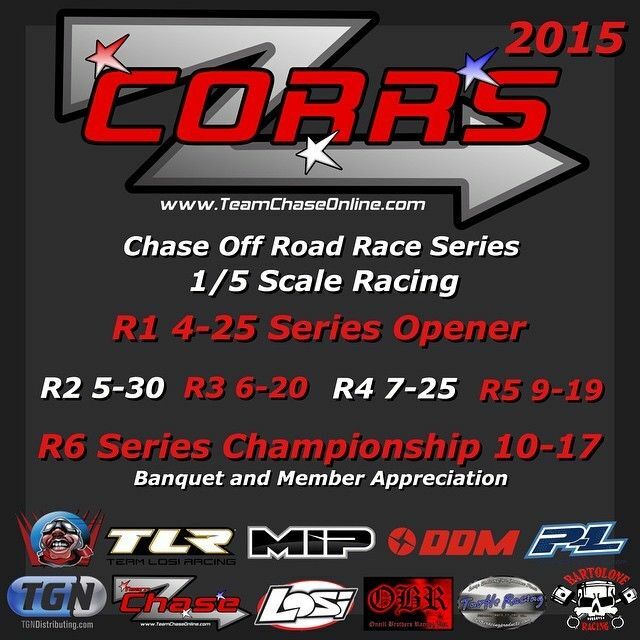 My next planned races are the last Team Chase race, Dirt Nitro Challenge and the East Coast Nationals. While doing all this I also race other scales, mostly 10th scale on road/oval. My racing highlights for 2WD Expert Truck are placing 3rd in the Ashley Cup in 2013, 2nd in the Ashley Cup in 2014, 2nd in the Dirt Nitro Challenge 2014, 1st in the Hitec Trophy Chase, 1st in the AKA Spring Point Series Race in 2013 and National Champion at the HPI Baja Nationals in 2012. I am looking forward to race with the best of the best for one of the best teams, Team OBR/TR! I am proud to be a part of the racing community. We are surrounded by amazing people. I am always happy to help anyone in need! See ya at the track! I have 27 years of racing experience both in onroad and offroad. Rc racing is not only my hobby but a passion. I live in Northern, Illinois and attend all the 1/5 races in that region as well as Canada. 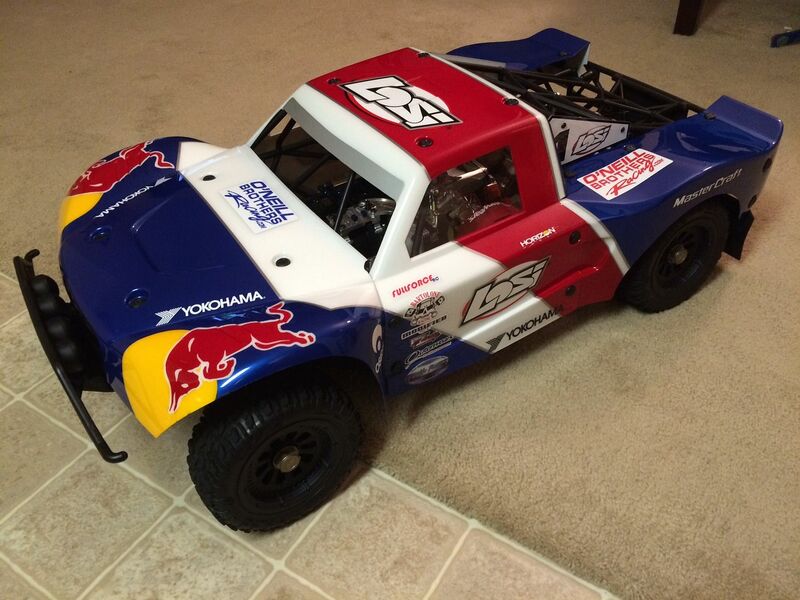 2014 I decided to run 1/5 scale 4x4 truck and I have just loved it. I run the OBR 30.5 Reed Valve engine which fuels my passion even more. The power is just awsome. Ive tried other engines and nothing compares. If your at a race and need any assistance be sure to stop. I had my first race in 2012 at the West Coast Large Scale Nat’s, one of the first races Larry Cross had at his new track after he had moved from Milestone. 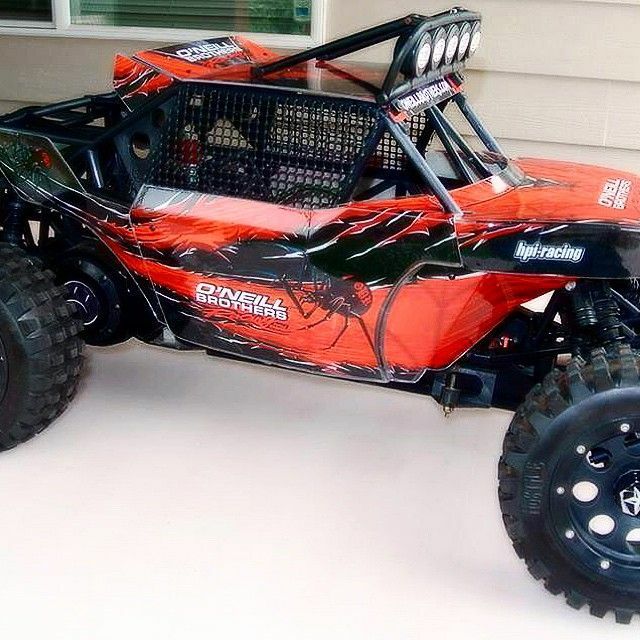 I had been around the large scale seen for a while before that, my first fifth scale was a Duratrx Firehammer, and as the HPI Baja became to be more and more popular, me, my brother, and my father acquired a few..7 to be exact. 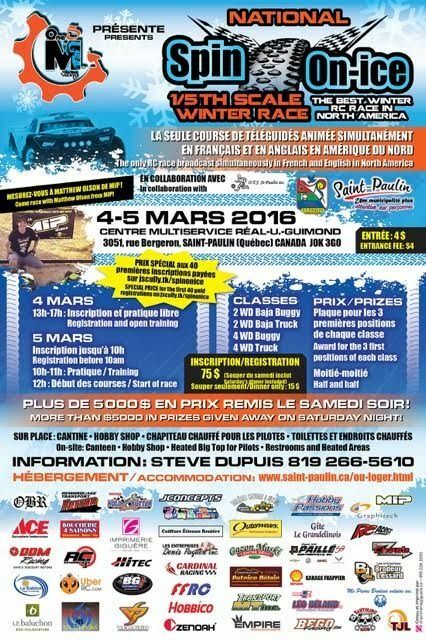 We were mainly into the bash and Glamis running styles, but as time went on and I met a few of the great people and manufactures of aftermarket parts, we decided to go into the race seen. I’ve place 2nd and 3rd with my Baja 5SC in multiple local track races, as time goes on I’ve tuned my car in but I’m still trying to find that “sweet spot” for the perfect race set up. My pops and I have talked about moving the 4x4 side of the sport but for now we are sticking to are bajas. When I’m not racing I’m going to school to be a computer and server technical administrator, going motor cycle riding, Shooting high powered guns, and helping my pops work on off-road drills, crushers, pretty much anything that has to do with moving dirt or cutting through rock. After a long day of doing whatever we usually grab a bite to eat anywhere that serves awesome food! On the other note, none of this would be possible without my pops and my main sponsor Greer Racing Incorporated. I come from a humble background when it comes to the 1/5th scale scene. I started in 2009 when my buddy Burt took me out to Dunetoberfest. While there, I ran into the O’Neill Brothers Racing family along with Turtle Racing Dave and Phatdad Racing Tom. Being a Harley Rider, me and father O’Neill hit it off and from then on, I’ve not only forged a professional relationship but also a personal relationship with the entire OBR family! Just bashing and helping others keep their rigs going was all I was focused on. I simply enjoyed the comradery the 1/5th scale scene had. Made the trip out to Phatdad’s place for some fun bashing on the Phat Track. Made it out to my first West Coast Nationals race in 2011 where I took 3rd in 2wd Buggy Sportsman and 2nd in 2wd Truck Sportsman. After that, I was hooked on racing. Picked up a few sponsors along the way and have been dominating every chance I have on the tracks. Living in Tehachapi, CA I’ve traveled down to San Diego, Ca and all the way up to Sacramento and San Francisco for demonstrations and racing. My most memorable accomplishments are the POW/MIA/KIA build as well as the military appreciation give-a-way build. Both supported by ORB, Turtle Racing and Phatdad Racing among others. 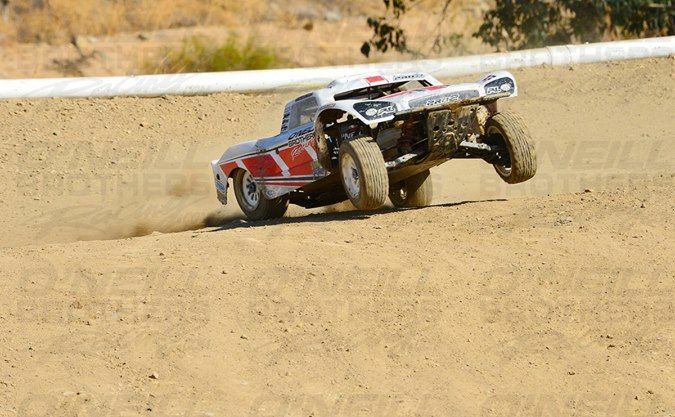 Most recent accomplishments are winning back to back expert 2wd Buggy West Coast National titles – 2013 and 2014. Foremost I enjoy giving O’Neill Brothers Racing, and my other sponsors, a good name by helping newer drivers while out at the tracks and on various forums. I thrive for sportsmanship and challenges both on and off the track. While off the track, I’m honored to be serving as an Active Duty Air Force member and enjoy my family as well as riding my Harley Davidson. I can’t end without thanking my wife Theresa and my 3 daughters that have supported me along the way! 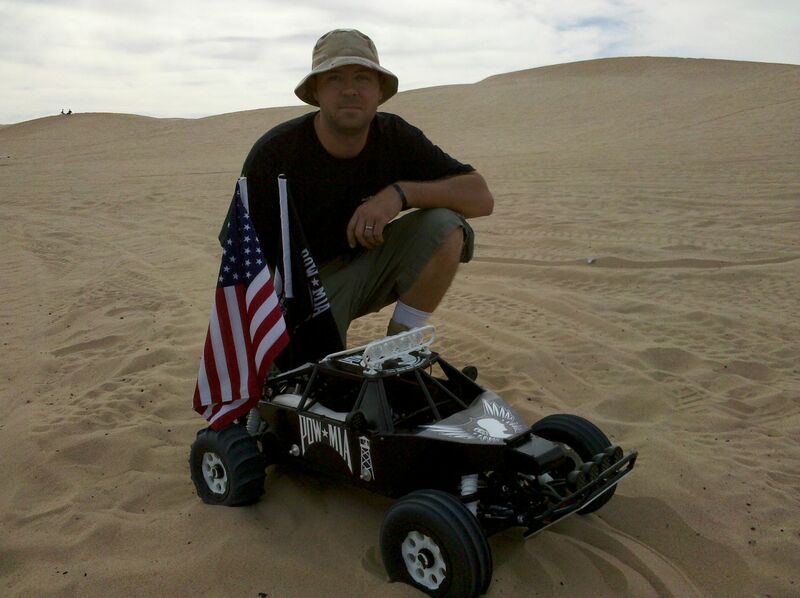 I had my first 5th scale race in 2011 with an HPI baja 5SC at Shreadheads Bajacross. I met a lot of cool people and had a blast racing.Killed 4 spur gears in that race. I realized what great people are in 5th scale and loved the racing. That's where it all started for me.Now I race a Losi 2wd Truck, Losi 4wd Truck and Losi 4wd buggy. 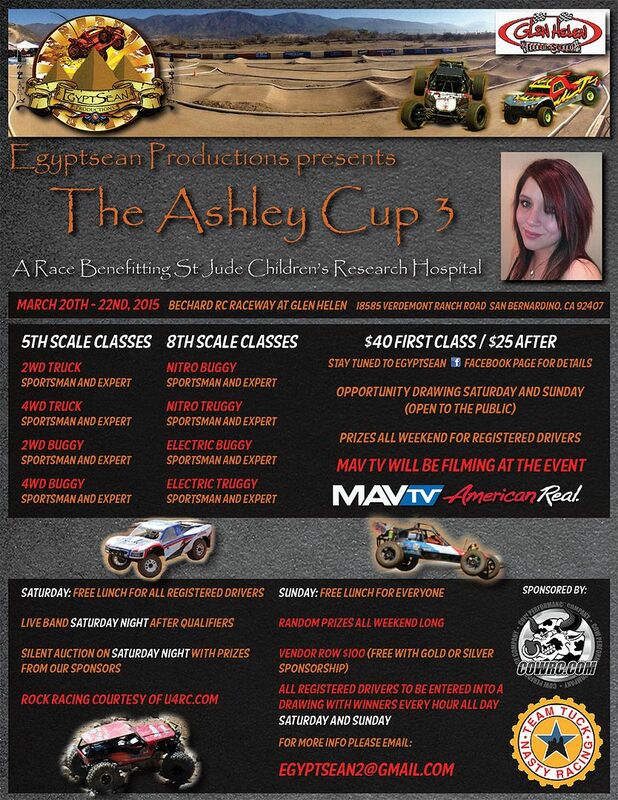 My favorite track is Nitrochallenge 2012, and My favorite event is Ashley cup. Racing career highlights are: Just this year I completed my goal of getting a National Pro podium spot in in all three classes. 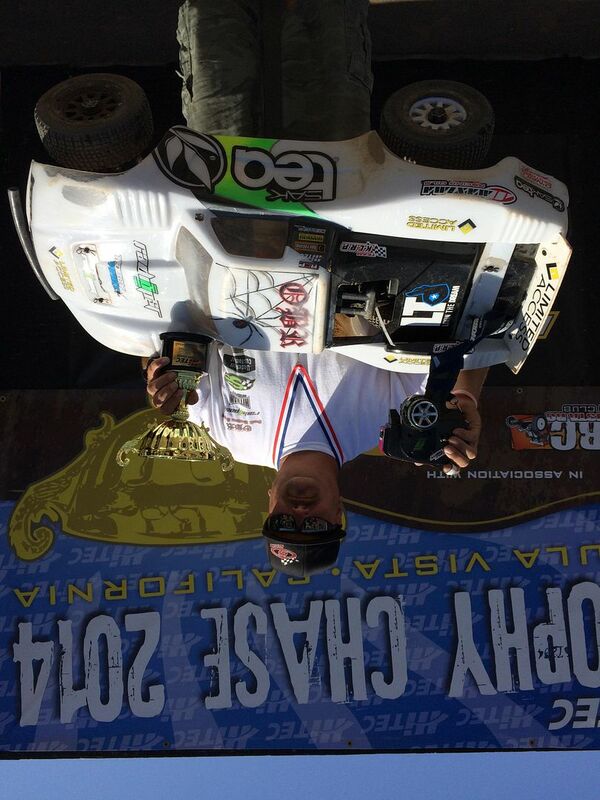 1st place Pro buggy in 2013, 2nd place Pro 2wd, 2013, and 3rd place Pro 4wd truck 2014. Other highlights include, 1st place Pro 2wd at Ashley Cup 2014.1st place and TQ pro 2wd truck and 2nd place pro 4wd buggy NitroChallenge 2014. Team Chase Series 2013 2nd place pro 2wd truck. Team Chase Series 2013 3rd place pro 4wd open wheel. 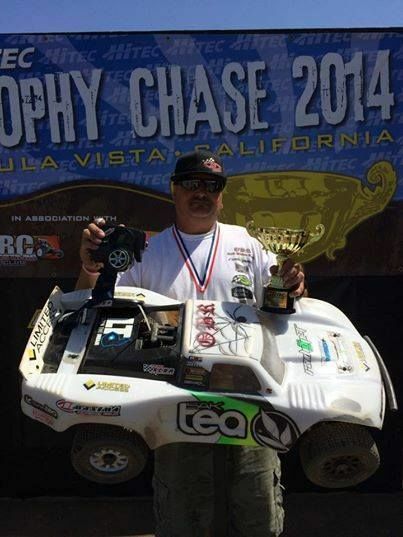 In 2012 I won 1st place Pro 4wd truck in the Norcal vs Socal California cup race and Our Socal Team won the California cup. Also 2012, 1st place NitroChallenge open 4wd truck. 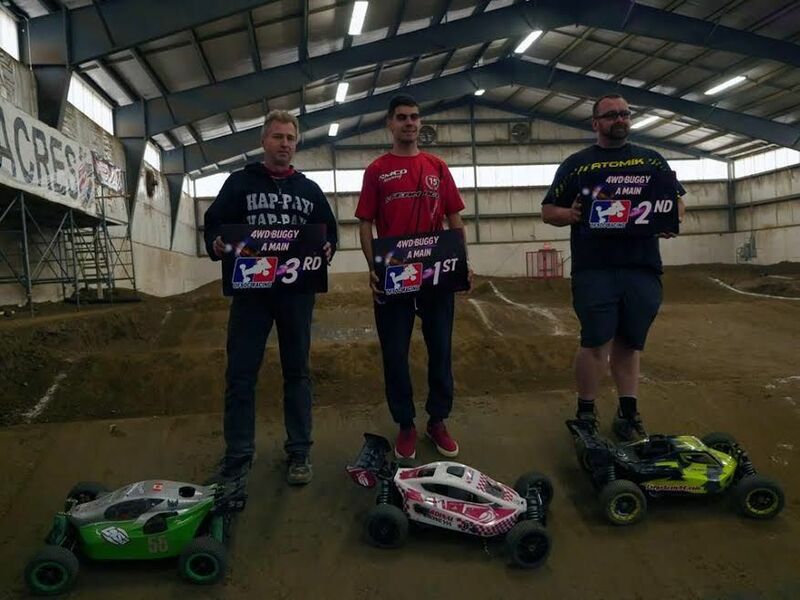 It was my first race with the Losi 5ive-T. My Goals are to keep racing, having fun with my fellow racers and team mates, supporting 5th scale by helping out newer guys, and to always go for the podium! My biggest rival would be Chris Higa. We always battle cleanly and I have much respect for him. Personal interests outside RC are Scuba Diving, Paddle boarding and Buffalo wild wings with my Bro. G320RC reed cases and full mod G320RC reed case engines are available. 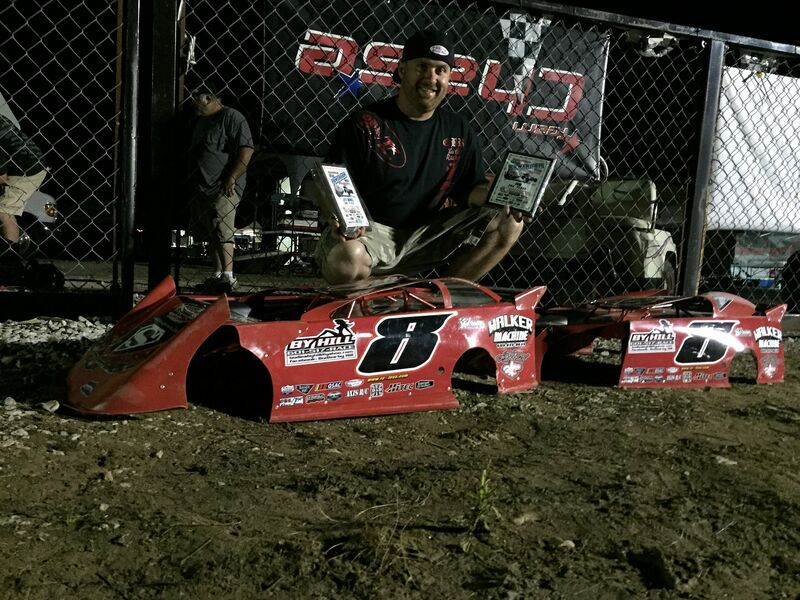 Congratulation Joe Stolz for your Lufkin RC oval series win! Congrats Kyle Christy and Team KCRP for your 2WD expert truck 1st place in the Hitec Trophy Chase. Thanks to all my sponsors O'Neill Brothers Racing, Limited Access, Radiopost, Phatdad RC, Vanquish Products, Turtle Racing, DE Racing, Hobbypartz.com and Gens Ace! We had a great day of racing and am excited to take 1st place in the Hitec Trophy Chase! Congrats Josh Howell For Your EC National Wins! We're a little late at posting but congrats Josh Howell for your EC Nat's win. 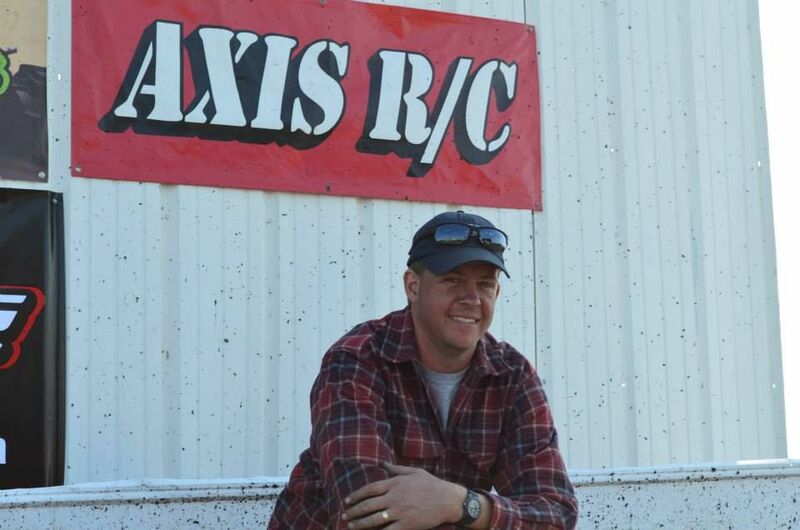 Josh took 1st place in 4WD expert truck as well as 1st place in 4WD buggy oval. Congrats Sean Thomas for your midwest summer points series win! We're a little late at posting this as well but congrats Sean Thomas for 1/5 scale midwest summer points series win. Sean won TQ and 1st in expert 4WD truck. G320RC Case Reed's Coming Soon! G320 case reed engine is on our dyno now. We will update our progress as we test. OBR full mod torque tuned 30.5cc cutting grass. Full Mod 31.8cc Zenoah G320RC Engine Available! TR/OBR Engine And Parts Giveaway! 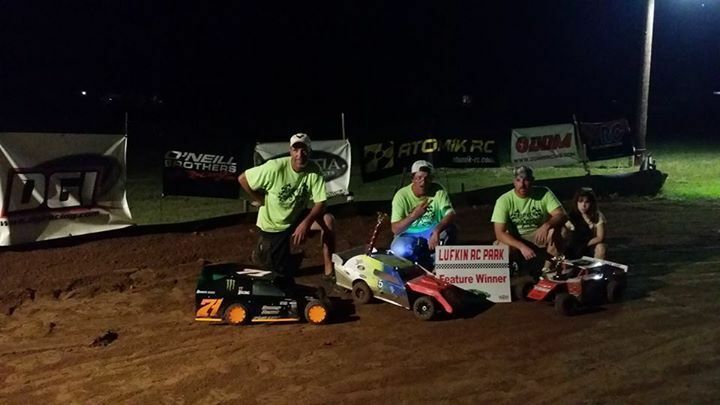 Dan Silagy and Greg Metzger take 1st and 3rd place in expert 2WD buggy at the Ashley Cup! Great driving guys! Jason Stach and Kyle from KCRP take 1st and 2nd place in expert 2WD truck at the Ashley Cup! Great driving guys! Click read more below for the full list of frequently asked questions. I recently received a fully built 50.8 Twin from the ground up from the crew at O.B.R. All I can say is they are the best there is. There is no substitution for the skills and product they produce. My car has exceeded every possible expectation I have ever envisioned. And by the way at 90 mph dead straight no hands! As for hype between a 62 and the 50.8 O.B.R.Twin. . . If you doubt this you obviously don't have both? I do and that's why I now own a Twin. If your serious about a build and have the time look no further. O.B.R. Is the King of the Mountain. Every penny I spent was Worth it "10" fold. In fact by time the build was complete I guarantee the hours spent exceeded the original build estimate due to my expectations. This was of no impact to my quotation and as stated delivery was the best there is. If you want the BEST there is look no further. 38cc WIDOWMAKER Engine Featured On RC Sparks. 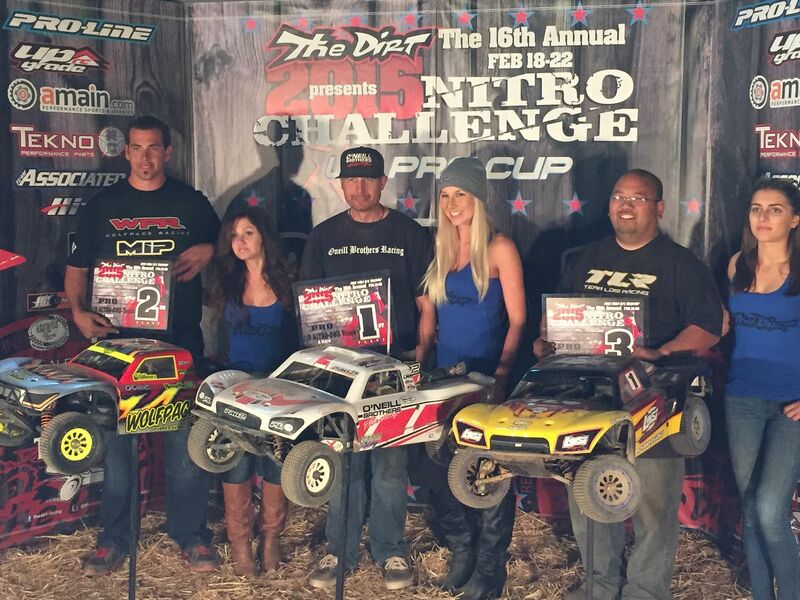 OBR and KCRP swept the podium at the Nitro challenge for the second year in a row! OBR and KCRP swept the podium at the Nitro challenge for the second year in a row! Congrats on the wins guys! 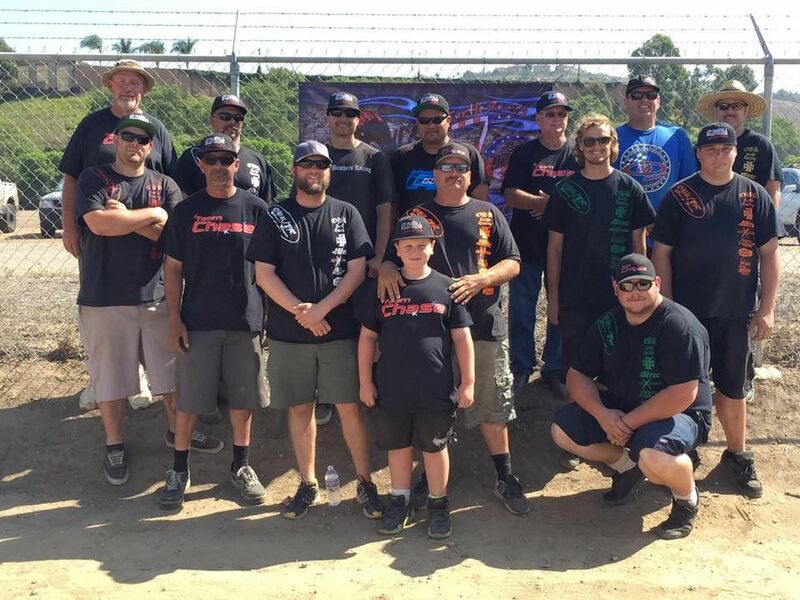 We would like to thank all of our drivers for their support and wins this year at the west coast nationals. 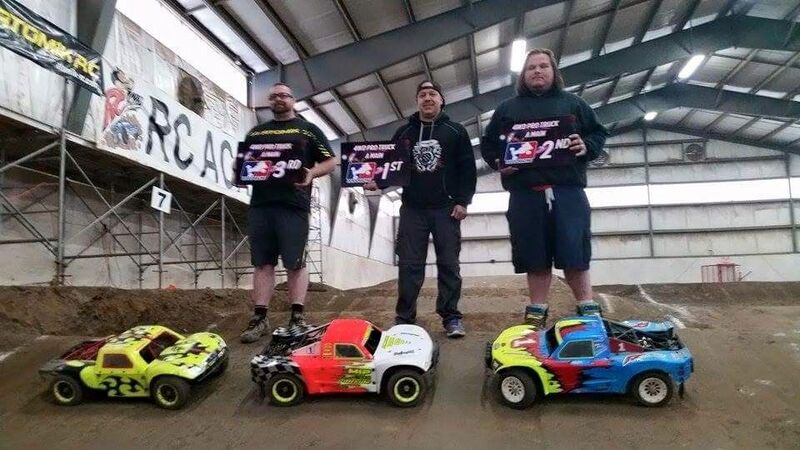 OBR drivers took 3 out of 4 expert A main wins as well as multiple podium finishes. We would also like to thank Turtle Racing and Phatdad RC for their support and aftermarket parts that kept our cars running through the long 30 minute mains. The heli weight is 5.9kg without fuel. Longest Drive - Calgary Canadians with a 1600 mile one way. We're proud to announce that we are now CNC porting all of our engines. The TR/OBR billet piston port crankcase upgrade on all engines went over so well we've decided to do it permanently. From now on every engine will come with a TR/OBR billet crankcase as well as being CNC ported. CNC porting and hand finishing is all done in-house by the OBR staff. We do not contract out any of our porting so every engine is modified to our exact specifications. We are able to offer higher accuracy this way as well as more power. Our CNC machine has allowed us to take our porting to the next level due to us being able to do cylinder work that is not possible to do by hand. OBR will be engraved in all 36mm cylinders. 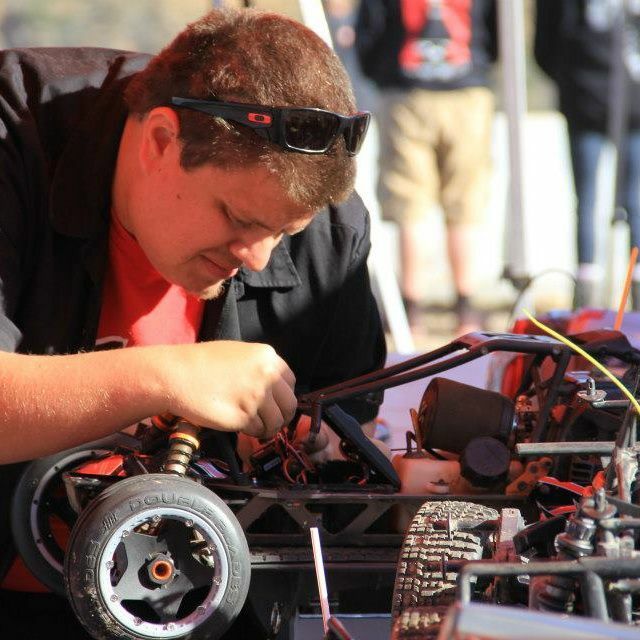 The #1 question after you buy a new 1/5 RC car or motor is how to break in and tune the engine for performance. Dan Silagy from O'Neill Brothers Racing walks you through the process of how to correctly break in and tune an engine to avoid damaging or seizing it. Dan also describes the different types of carburetors found in most fifth-scale cars, and the differences between them. 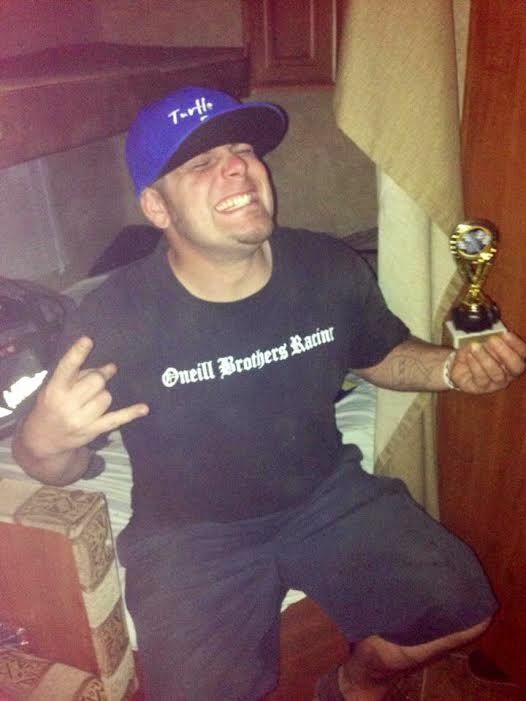 OBR would like to congratulate Josh Howell for his wins at Powerjam. Josh podium 3 times with his High Torque 30.5cc OBR reed engine. We have extended the billet crankcase upgrade promotion. To help kick off the new TR/OBR billet crankcase we will be upgrading every piston port engine or long block to a billet case for the rest of the month at no charge. Starts now Saturday the 8th through the end of the month. No codes or anything special you need to do while ordering. This includes engines on sale, not on sale, prostock's and full mod's. Only exception is the 36cc as it's a 2 bolt. I know we've dropped a lot on all of you today but we have one more announcement. We're proud to announce the release of our Prostock G290RC. 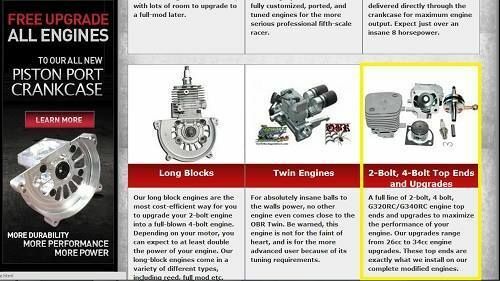 Available in both a long block and complete engine. We're now offering the option of upgrading to chrome covers as well as choosing a clutch for a direct bolt up in your car. As far as power and price goes the Prostock G290RC is our best bang for the buck. With the billet crankcase it comes in at just over 5hp and over 19,000 rpm's. To help kick off the new TR/OBR billet crankcase we will be upgrading every piston port engine or long block to a billet case at no charge. No codes or anything special you need to do on your end while ordering. This includes engines on sale, not on sale, prostock's and full mod's. Excludes the G320/340, twin and 46cc engines. G320RC and G340RC full mod engines can be upgraded at an additional cost. All reed engines are billet case. We've had quite a few questions on the power difference between our case and a stock Zenoah case. Testing was done on our prostock g290rc we've been developing. We're seeing by just swapping to the TR/OBR billet piston port case more power all the way across the board. 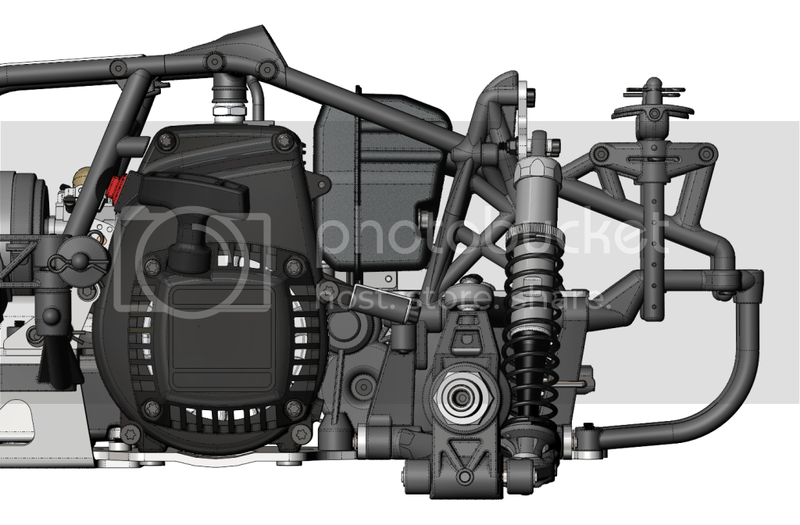 .2 ft/lbs of torque and HP, broader powerband, +1500 rpm's and quicker crankcase temperature dissipation. You're not going to bolt this case onto a stock engine and turn it into a full mod or anything but you will see a noticeable difference in power. Questions on oil have been popping up quite a bit lately. When you're spending good money on a tuned engine don't skimp on the oil. A $2 bottle of chainsaw oil isn't going to cut it. Sure, chainsaws run WOT for long periods of time but at a much lower rpm. 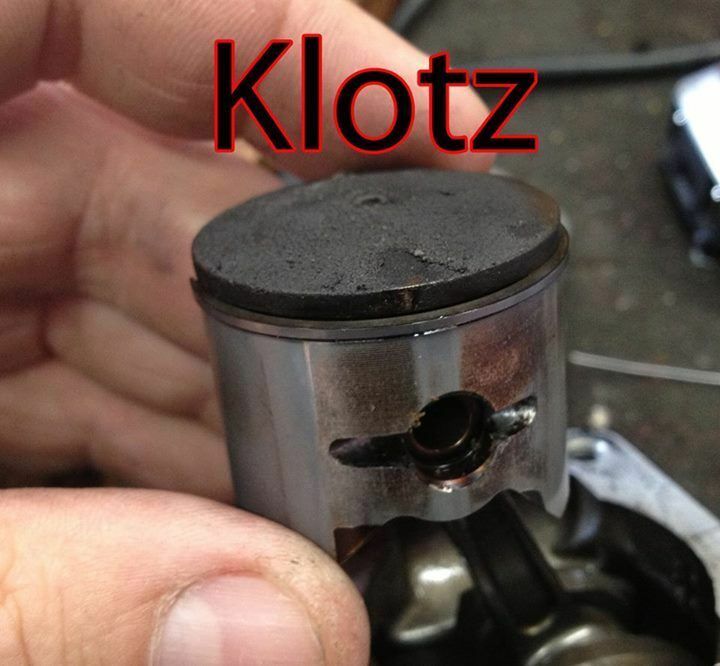 Most of the high end oils out there are good but I wanted to share our experience with Klotz. For some reason it tends to leave a ton of carbon build up. In extreme cases I've seen engine failures. A tuned engine from us for the most part has a .020-.025" squish (piston to combustion chamber) clearance. It doesn't take a whole lot of build up for the carbon to tag the combustion chamber. 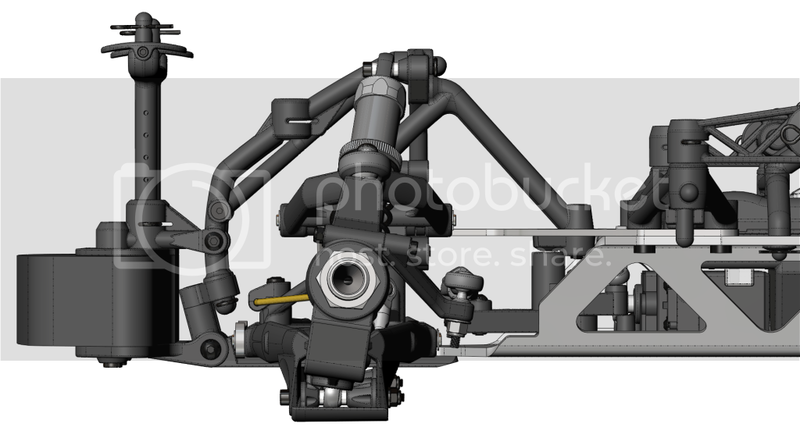 If this is to happen the carbon can break free from the piston and go into the engine like shrapnel. It's worth every penny to buy a good two cycle oil for your engine. 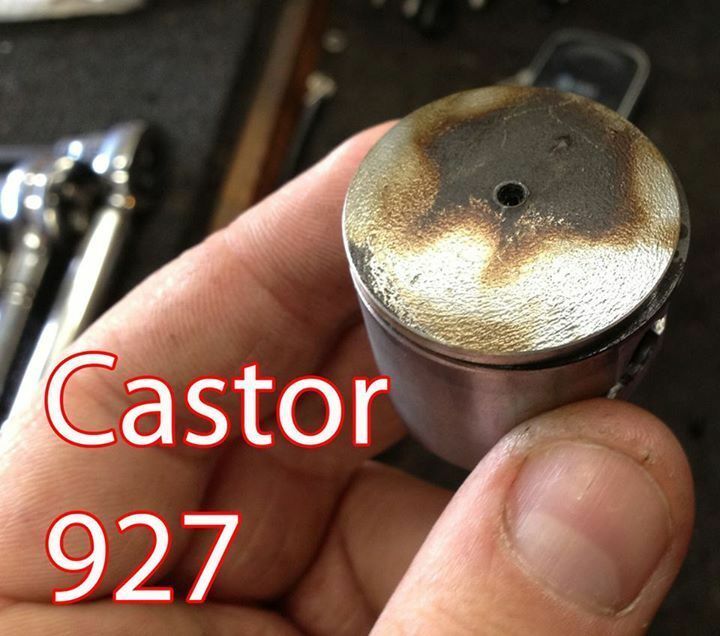 I've posted two pictures below of an engine ran with Klotz and a second with Castor 927. Both engines roughly had about the same amount of run time. Congrats on the wins! 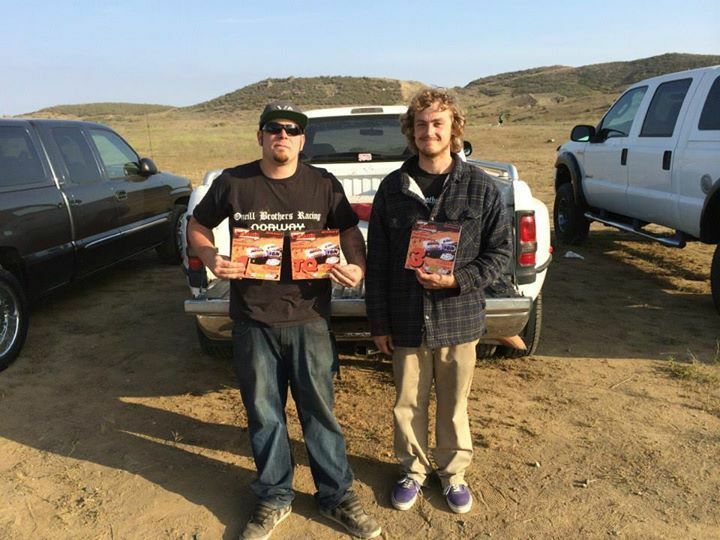 John won 4WD oval and Josh won 4WD offroad with their TR/OBR high torque 30.5cc reed case engines. Keep up the good work guys! Josh TQ'd and lapped the field in his final. 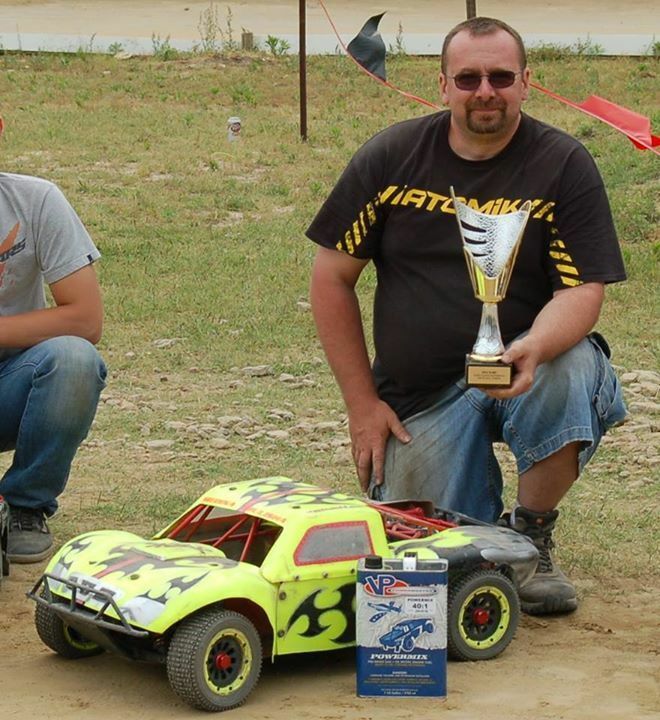 We would like to congratulate Bart Mullink, BMS RC Tuning's factory driver. 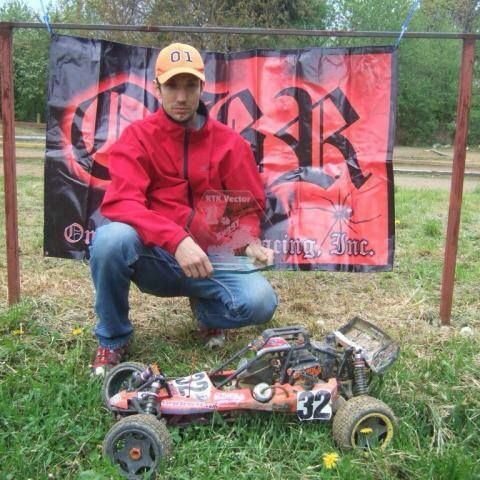 Bart was TQ'd and won the DAC outdoor 2013 championship with his full mod OBR G270RC competition engine. Kraken RC class 1 sticker wraps are in-stock. This is O'Neill Brothers Racing's 11th year of delivering you performance fifth-scale parts and engines. So, we're celebrating by offering you prices as low as as some of our cheap clone competitors out there, but with the durability, performance, and quality you've come to expect from O'Neill Brothers Racing. The sale will continue until the end of March. Check out the 11th Year Anniversary Sale on our site for amazing deals this week on our world-famous engines, parts, and upgrades for your HPI or Losi. Custom built for David Williams. 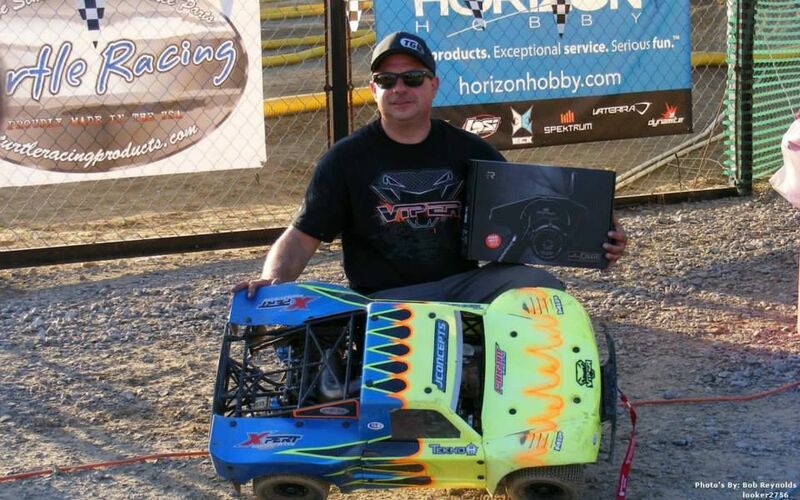 OBR would like to congratulate John Schultz for his win and tq at the fear farm last weekend. John won and took top qualifier in expert 4WD truck with his track mod 28.5cc OBR/TR case reed engine. O'Neill Brothers Racing presents the first episode of the Inside OBR series. This episode takes you inside the world of O'Neill Brothers Racing, makers of the fastest HPI and Losi engines in the world. Sean and Dan introduce the new methanol reed engine. Full Mod Piston Port Methanol Engines Are Available! We would like to thank the guys over at Rc Sparks. 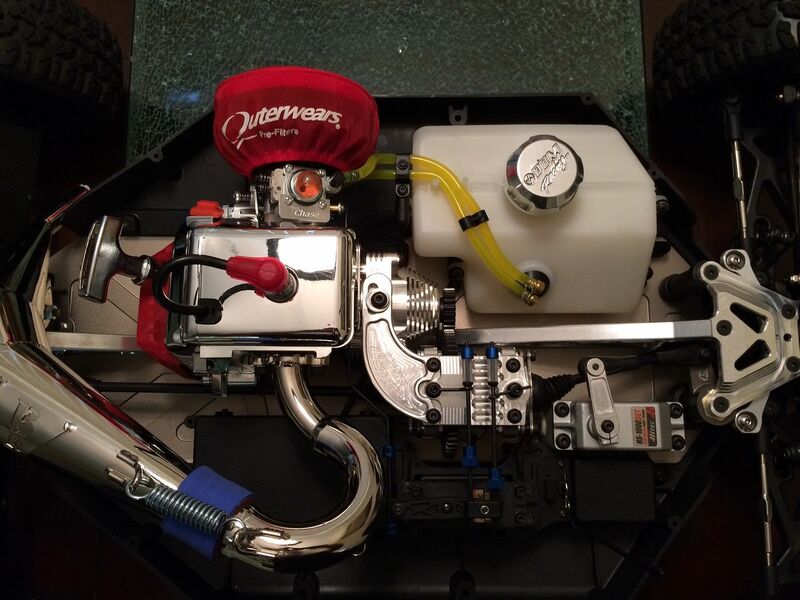 They recently did a review on our high torque 30.5cc reed case engine for their Losi build. We know there a lot of engines out there and we're honored to have been chosen for this build. For those of you not familiar with them check out the RC Adventures YouTube channel. They have the largest gathering for rc videos with over 60 million video views. OBR would like to congratulate Team Contrast for their win in the Kawasemi Circuit! We've been working with Team Contrast on our Yuji Edition full mod on-road engines for several years now. It's great to see them put it up on the podium at a big event. We're adding another methanol engine to our lineup. Full mod piston port(non reed) 29.5cc methanol engine. In this video we were running a vrc unsilenced side mount pro pipe and 19/55 gearing. Video was taken in Pismo Beach California. Pictures of one of our newest custom builds. This bad boy has the best of everything from aluminum arms to a methanol nitrous oxide TR/OBR reeed engine. For many engine upgrades and rebuilds, including a Long Block or 2-Bolt upgrade, flywheel and clutch removal is a critical step. Dan shows you a few "at-home" tricks to perform the removal without expensive tools. Differences between CY and Zenoah parts. Want a cost-effective way to double the power of your engine? The cheapest way is to purchase an OBR Long Block upgrade, and assemble it yourself. But once you receive your Long Block, where do you start? How to install the parts in the right order to avoid having to reassemble the engine. Torque specs on the bolts to avoid damaging your new engine. Which parts you'll need to focus on to get the upgrade right the first time. We've added a mega drop down menu and a new search engine to our website to make navagation and finding what you're looking for a little easier. Check it out and let us know what you think. 2.472 at 54.1 MPH setting two National Records for ET and MPH. I would like to thank Oneillbrothers Racing for a killer motor that ran flawless all weekend. 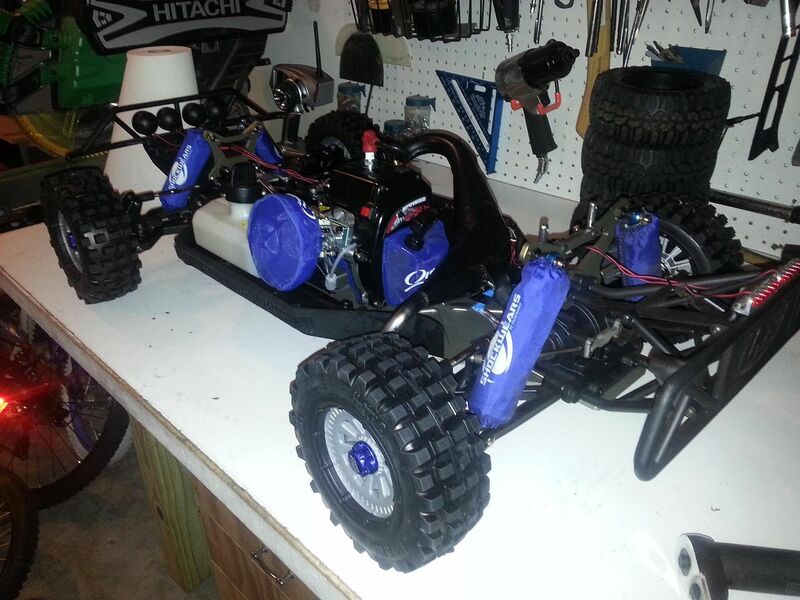 OBR is proud to annouce that we will now be offering custom HPI baja's. The first to go up is a baja 5B setup for sand. We've been getting a lot of requests for complete cars and here they are. If you're looking for a custom car send us an email for a quote. I knows there's a few of your waiting on our new reed engines. 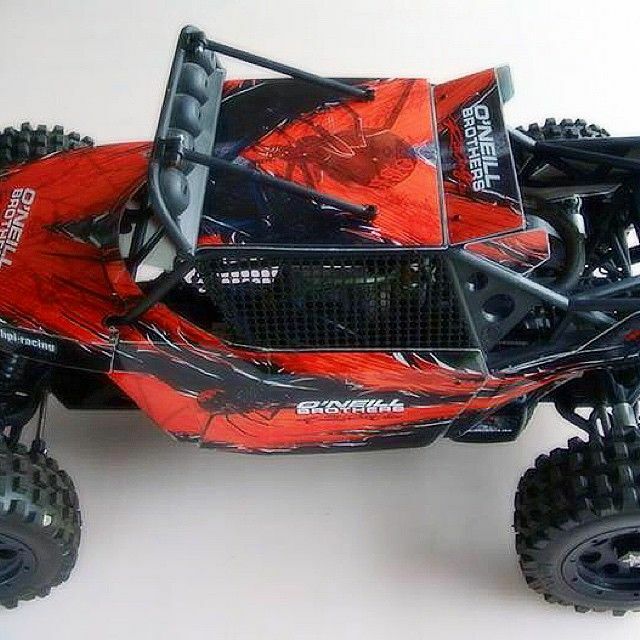 They just hit our website http://www.oneillbrothers.com/rc-car/reed.html To start we're offering a long block and complete engine. Options are fuel type, gas or methanol and adding nitrous oxide. Piston port engines will be available soon. Get ready, a new line of engines are coming from OBR. It's been a long and frustrating few months getting this engine dialed in but we couldn't be more happy with the results. We have a line of reeds and piston ports to follow that will run on methanol and/or nitrous oxide. Here's a short teaser video of some of the testing done by Shreadhead. 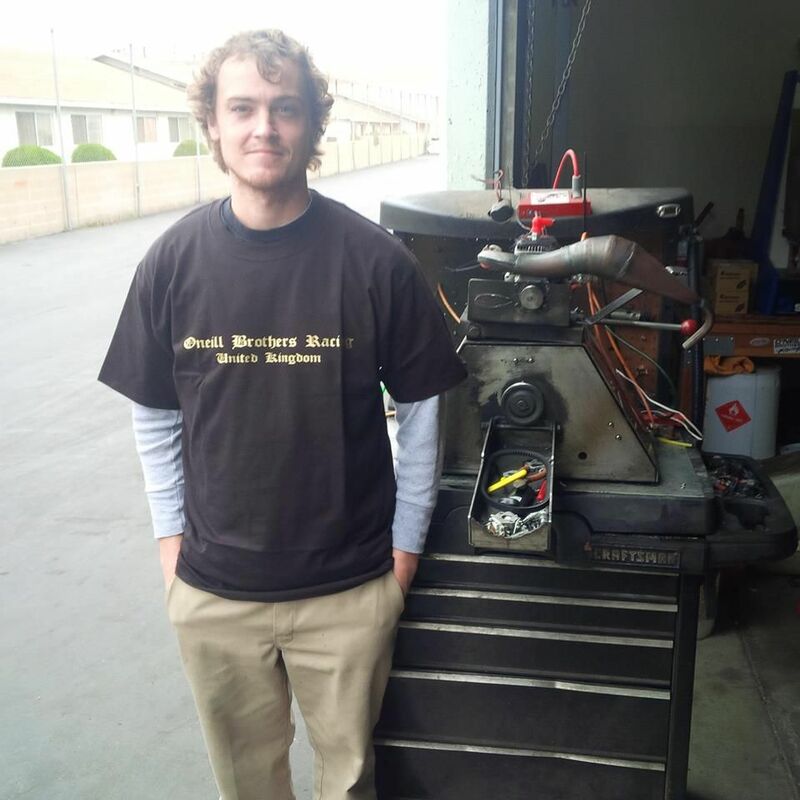 We can't thank Shreadhead enough for all of his help developing this engine. Believe it or not but we've figured out a combination of porting, compression, piston mods etc that allows us to run methanol and nitrous oxide and still have a decent engine life. This new engine will be shown off this weekend at Silverlake. RB Innovations Nitrous Oxide kit modified to run on 3rd channel. Great work out there and congrats guys! 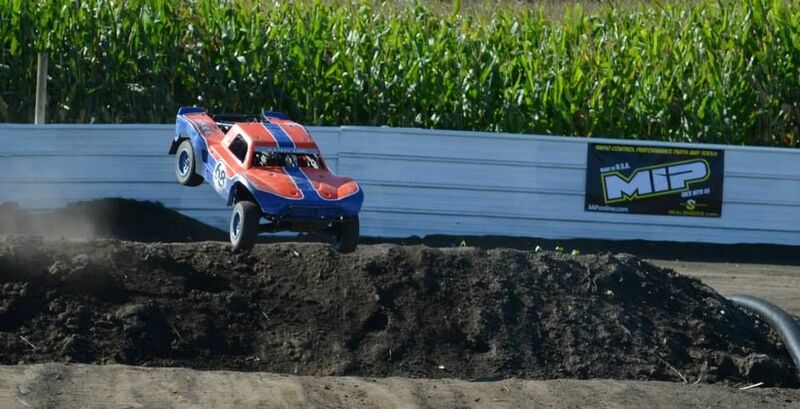 Big thanks to Troy at Large Scale RC for throwing a great event and allowing us to post his pictures. We will be holding a memorial day sale next Monday the 28th under the motor monday section of our website. Just like motor monday sale items will be left up all week. We just finished up the Silver Lake giveaway engine and we'll be shipping it out shortly to Andrew from Scropion Racing. The engine has the best of everything. High torque 30.5cc tr/obr reed engine with custom engraving, tr pull start, sealed clutch housing, high response clutch, shreadstack and will come with an airfilter and victory pro pipe to match. Here’s something to make you wet your pants…. 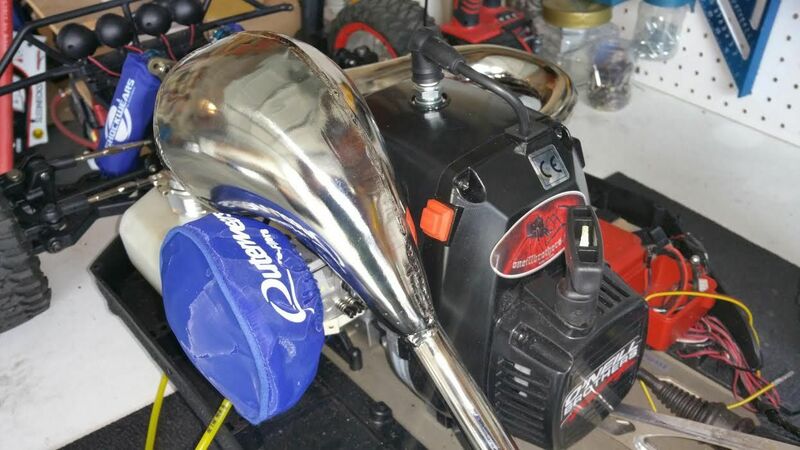 I’m pleased to announce that at the SL2012 event Turtle Racing, Oneil Brother’s Racing and B&L Sand Toys have teamed up to giveaway an 8.2hp Full Mod 30.5cc TR/OBR 4 Bolt Long Rod Reed Case Engine, complete with air filter and pipe!!! The fine print on the giveaway, this will be the last item giveaway on Saturday after the BBQ and all other parts are given out. Everyone will have 1 ticket provided to them by me, you must own a genuine 1/5 scale , ie Baja, Losi 5ive, Redcat or MCD (no KING MOTORS Copy Cats!!! ), you must bring your 1/5 Scale to the table to walk away with the motor to verify it. You must be the owner of the 1/5 scale to get in on this drawing and you must present your 1/5 scale to collect the Prize. Prize will not be released to family or friends. No Manufacturers or Hobby Shop Owners/Employees/Relatives are allowed to enter. If you haven’t checked it out, the latest addition to our product line is our new Turtle Racing crankcase. Check out this video for a taste of the power this amazing motor delivers. First winner was randomly choosen from orders placed during our sale. Winning order number is 100001676. Second winner was randomly choosen from our database. Second winner is Mark Breen. Both winners will receive a full mod piston port engine of their choice. We will be contacting both of you shortly. Check out the LSN website for up to date news on your favorite large scale cars. 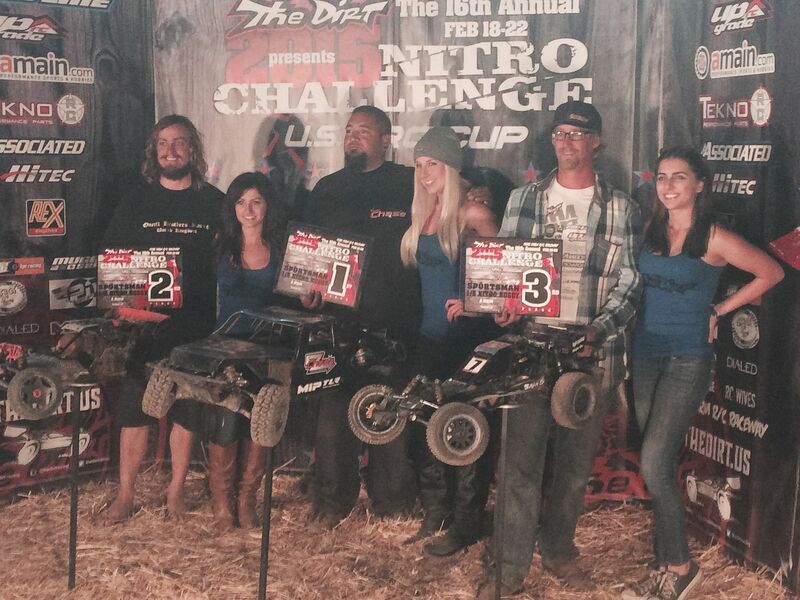 OBR drivers swept the competition at the 2012 dirt challenge. 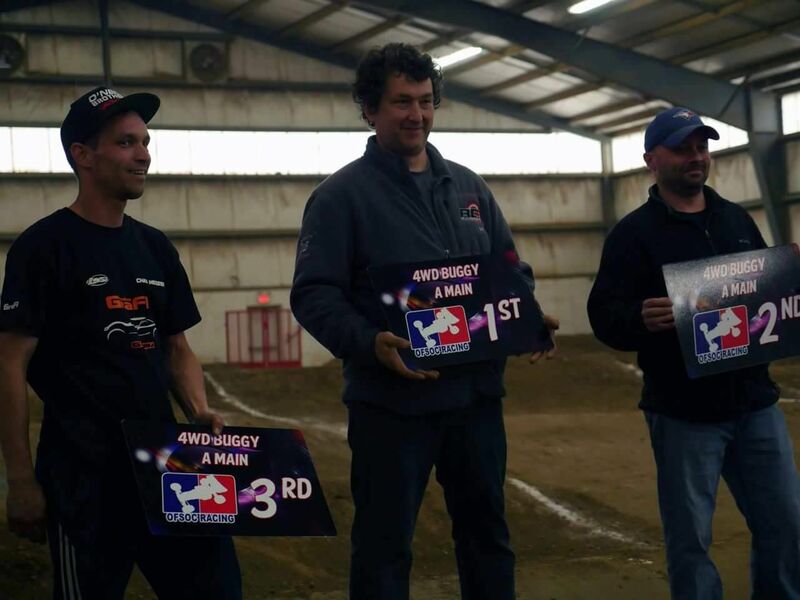 In 2WD Joe O'Neill took 1st place, Rodney (shreadhead) 2nd place and Daniel Silagy took 3rd place. In 4WD Rodney also took a 2nd place and was on Adam Drake's tail the whole race. First off, OBR would like to thank everyone of you that have supported us over the years. Without you and your support, we would not be here today. On Saturday, March 31, 2012 at 1:00 p.m., we will be holding a BBQ and meet and greet event. Anyone and everyone is welcome and there is no charge to come on by. OBR will be cooking some of the best carne asada and chicken in the South Bay at our new warehouse. We also will have plenty of beverages and snacks. Children and your family are welcome to come as well! To RSVP, please contact Sean at: sean@oneillbrothers.com. Once you RSVP, you will receive our new address and more details. In addition, We'll be giving away two of our engines at the end of this month as our thanks to you. The first engine winner will be picked at random from our customer database. If you have ever purchased anything engine related from us you have already been entered into the giveaway. The second engine winner will be picked from anyone who purchases items during our 10th anniversary sale. We want to thank you for your support over the last 10 years. We would not be here today if it wasn't for all of you. We hope that you continue to support us, and we are so grateful for all of the friendships we have made throughout these last 10 years. We hope to see everyone there at our BBQ so that we may be able to thank you all in person. Thanks again! We would like to congratulate Khalid for his win in the open class 60m sand hill drags. Khalid has set a new record of 3.668 seconds with a 50.8cc OBR twin. Complete reed case engines went up today. Short video of our full mod 29.5cc Losi ported engine and Jetpro pipe at the Team Chase track. Len Curry's Harm FX-1 with custom painted body by Sanjin Ferkovic. OBR race ported engine with Samba 7 Titanium pipe. The first Losi engines are are online. At OBR we always enjoy when a custom build comes our way. 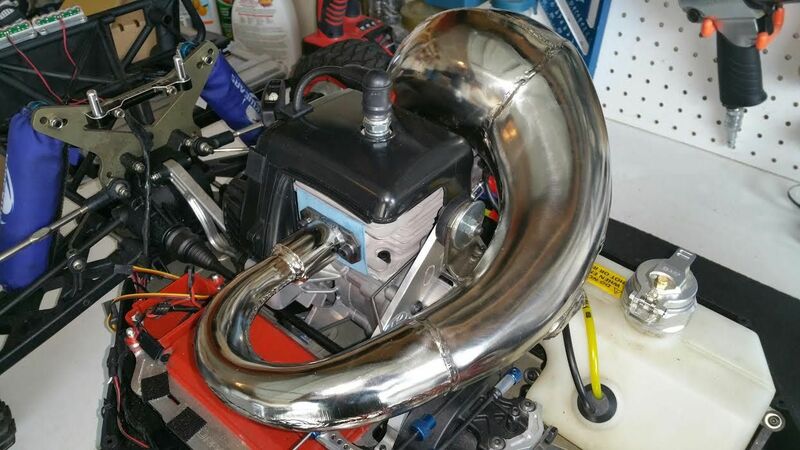 When Jeff contacted us for a methanol big bore twin we were more than happy to build it. Thanks Jeff! We are looking forward to posting up again on our blog when you have video ready. Here is a few pictures that Jeff took. Click read more to view more pictures. 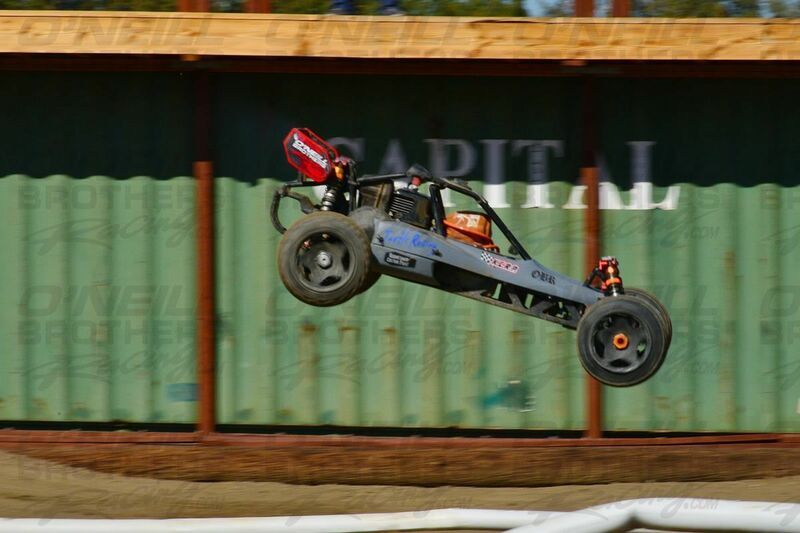 We just found out today that Andrea will flying from Italy to come out and race at the HPI nationals next week. We are looking forward to meeting Andrea and watching him rip around the all new track that John Schultz has built for the event. Big thanks from OBR guys, great job on the bodies! The second new twin to go up is the 57cc. Same bottom end as the smaller twins but with Zenoah 36mm top ends to get the displacement up. 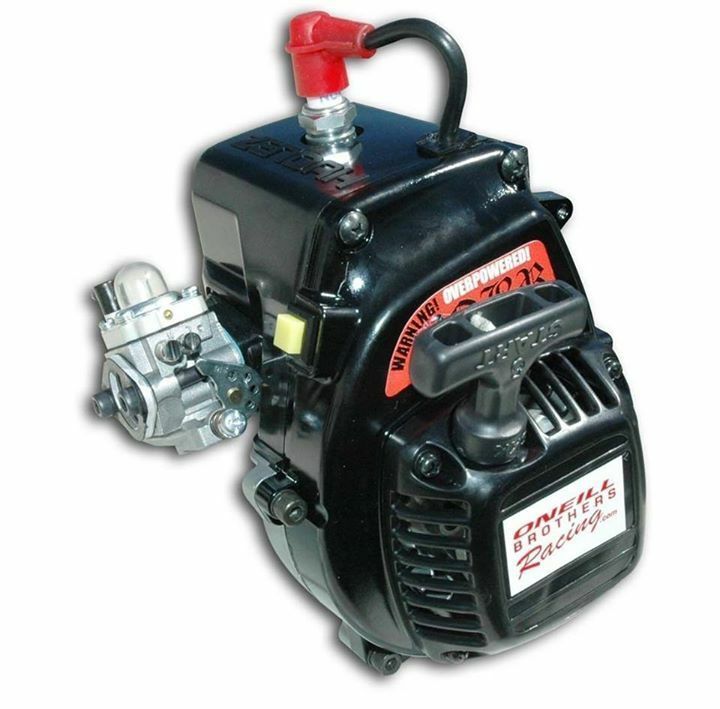 Being the biggest twin we offer the 57cc has proven to have the most torque out of all the sizes. We had the pleasure of watching the new Losi 5ive-T 1/5 scale truck run at Bajafest this last weekend. Their new truck was very impressive ot watch. 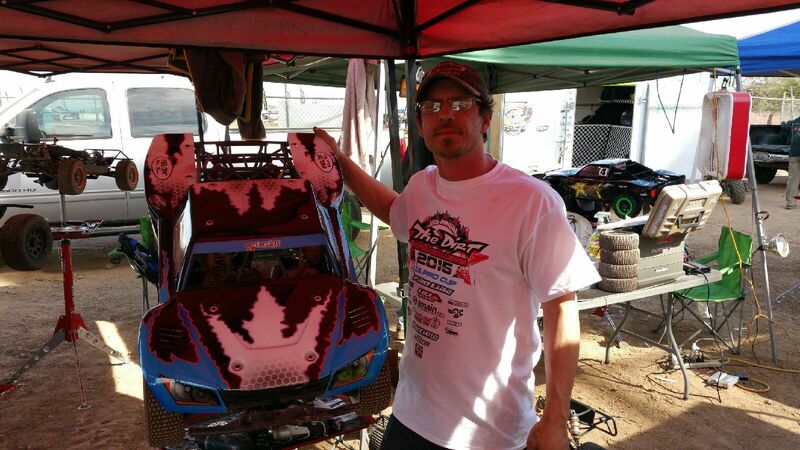 The Losi guys ran them hard all weekend on the off-road and oval track and we did not see them break a single part. 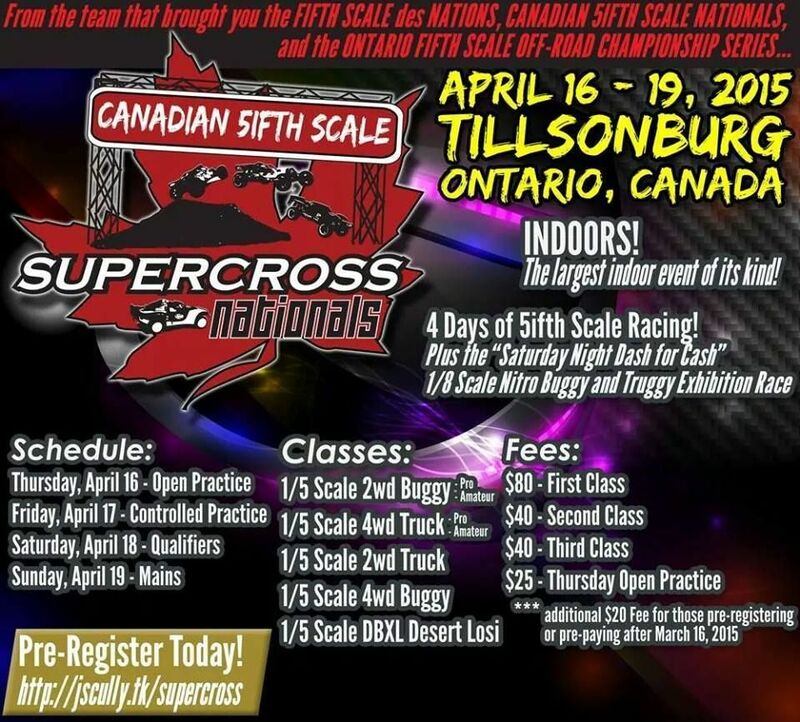 Get ready for a new 1/5th scale and a 4WD racing class. 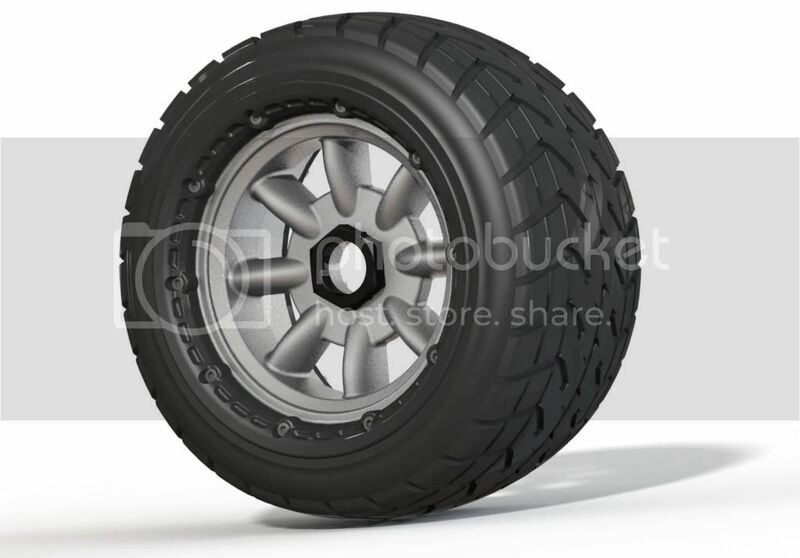 Last week stock HPI Baja parts were added to our website. Both categories now have over 100 products in-stock. More products will be added soon. Dyno results of our full mod 29.5cc long rod engine with victory pro and cpi pipes. Victory side mount pro pipes are in-stock. NEW! OBR Prostock Engine Line, the newest engine at OBR! 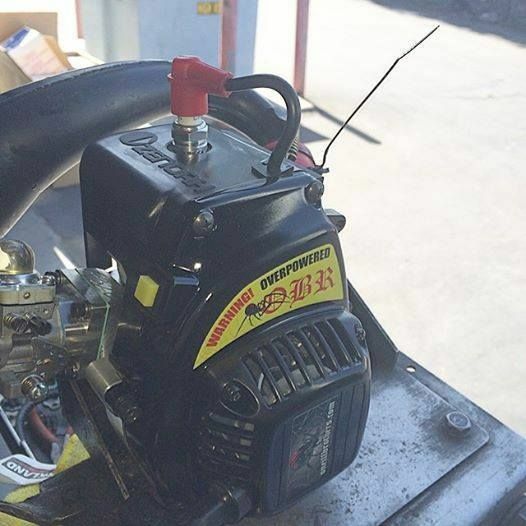 We want to introduce our newest motor to you, the PROSTOCK line. The PROSTOCK line replaces the race ported engine line. The PROSTOCK engines produce more power than the race ports and are more economical and is a great engine for all levels of drivers. The prostock engine line produces more HP than the race ports at the same price if not less. For those of you that are new to ported engines, we shot for ease of use. This engine is very easy to start and to tune the carb. Additionally, we have left the porting open on this engine. At any time, you may send the engine in to us to be upgraded to a full mod or a full mod long rod. Hope to you see everyone shredding these new engines soon! Long rod video #2 from our last dune trip to Buttercup.